I’ve fallen a bit behind on my recounting of Bestowed boxes. 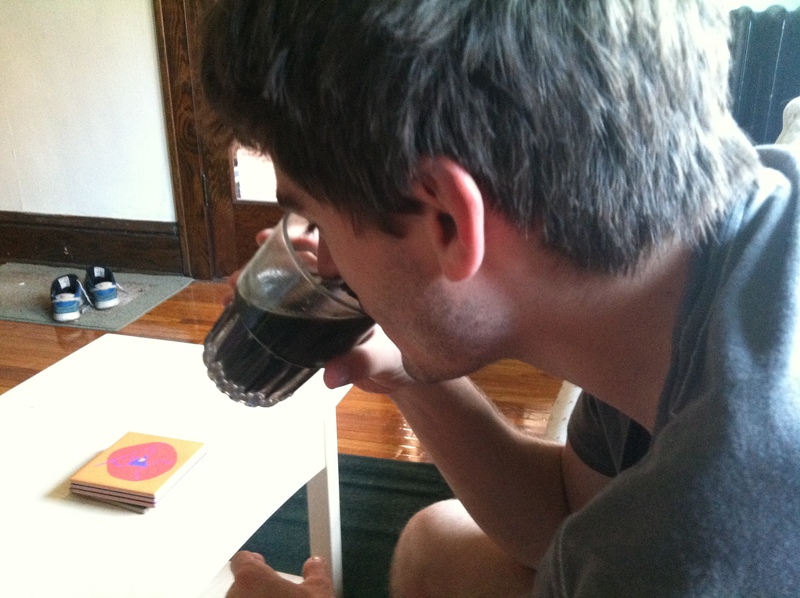 Alas, I’ve fallen a bit behind on blogging in general. Not to fear though – I am back with a vengeance. 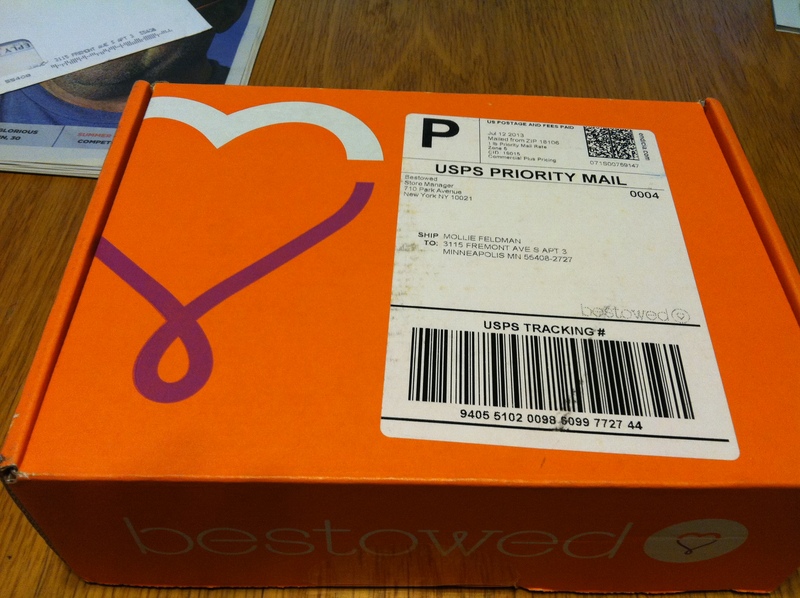 Bestowed is a monthly delivery program of healthy living products – mainly food with some beauty and fitness thrown in. Each month’s items are unique and provide a fun way to try new products without buying them myself (or having to buy a large size). 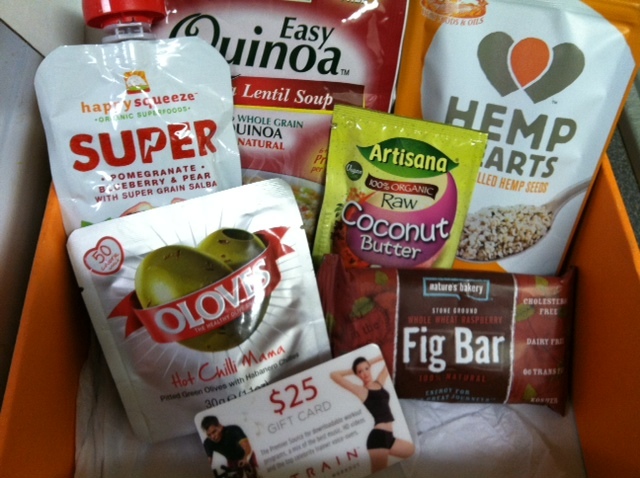 Since July’s box, I’ve neglected to tell you about my August and September goodies. As you can see, this Bestowed package was quite large. 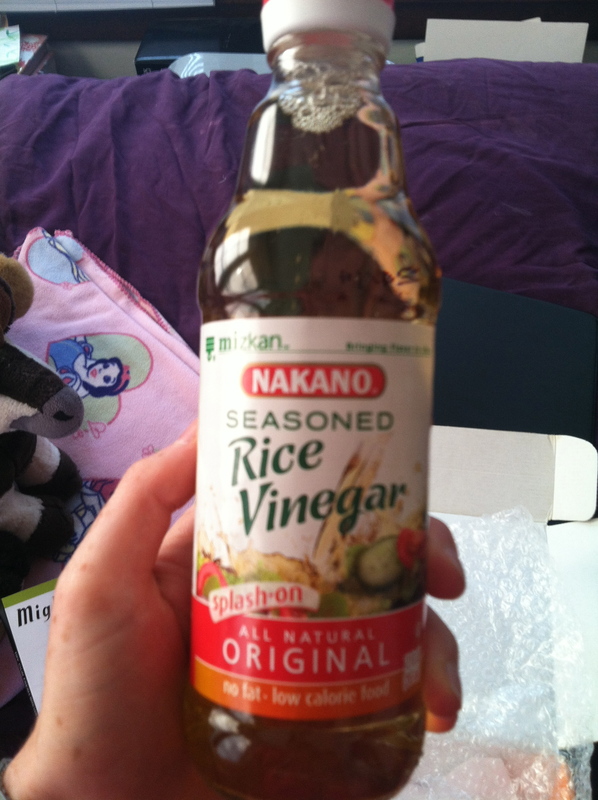 I could tell it would be good when I felt how heavy the package was (probably from the bottle of rice vinegar). 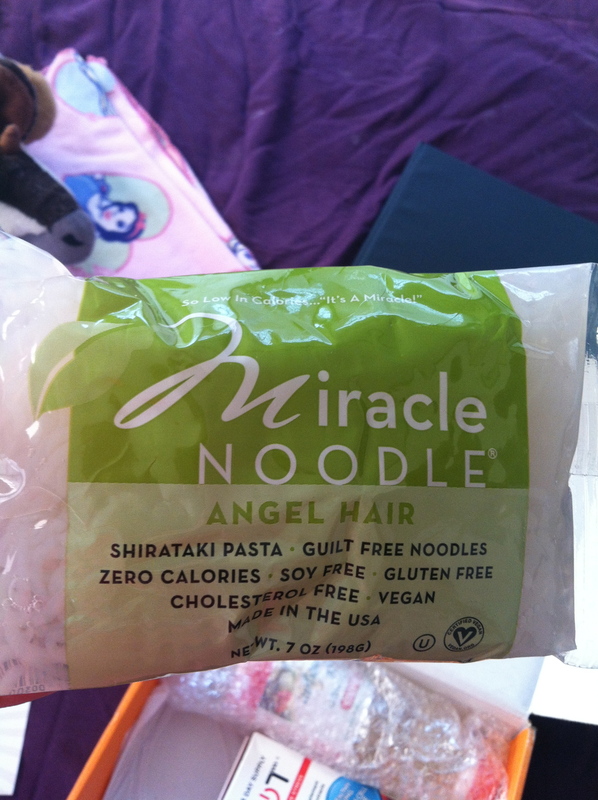 I still have yet to try the REBOOT, iced tea, or rice vinegar, but everything else (minus the noodles which were weird) was very good. 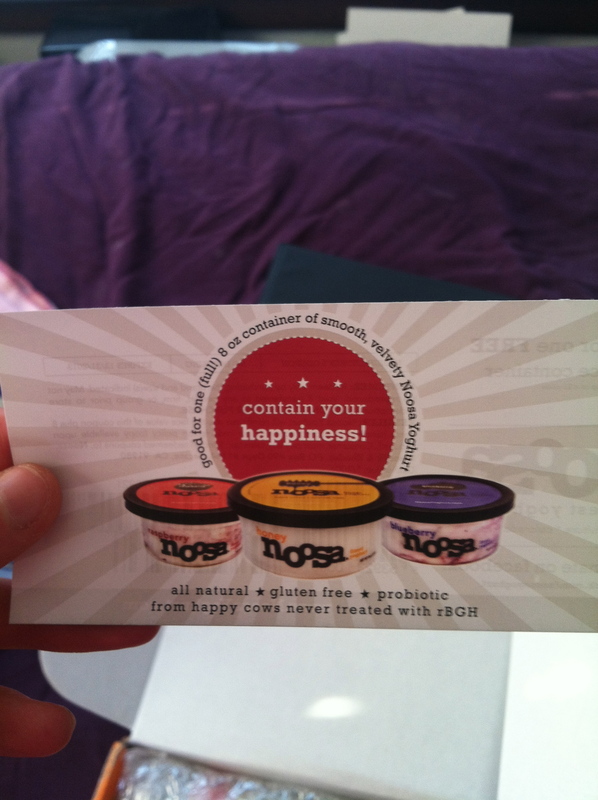 I love dairy free milks, so this made me especially happy (sorry Noah, I know how that pains you). 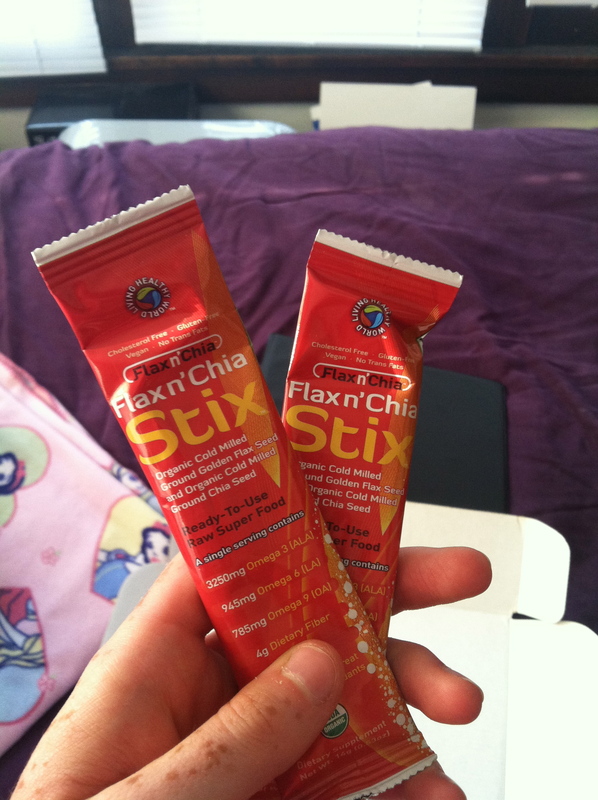 These taste good, so maybe I’ll remember to take them! 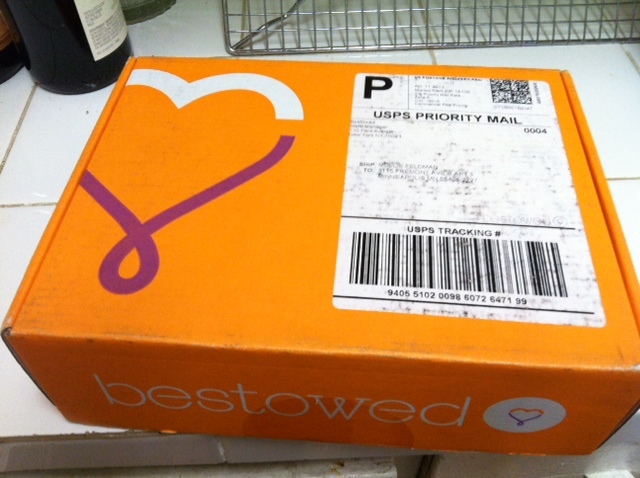 Bestowed is a monthly delivery program of healthy living products – mainly food with some beauty and fitness thrown in. I’ve had the service since January, and I still get MEGA excited every time the package arrives! 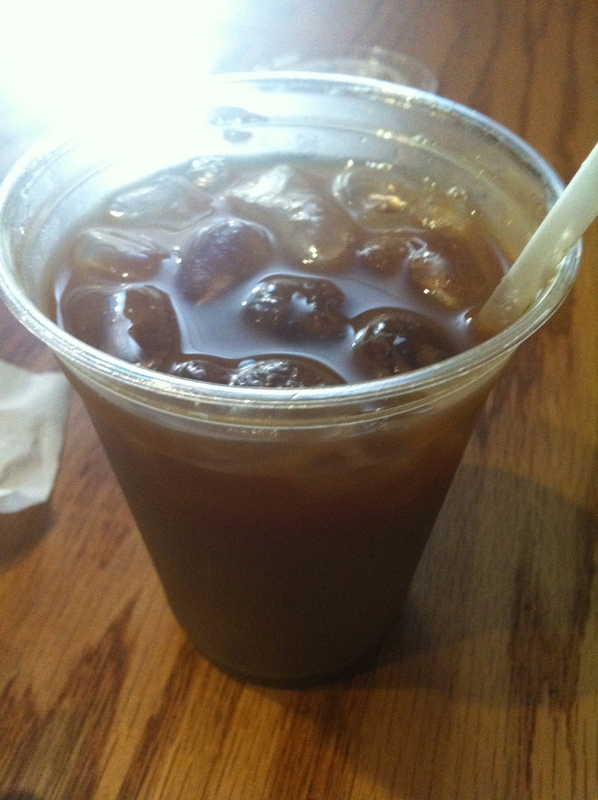 Bon’App – This item didn’t really give me anything since it was just advertising a free app. 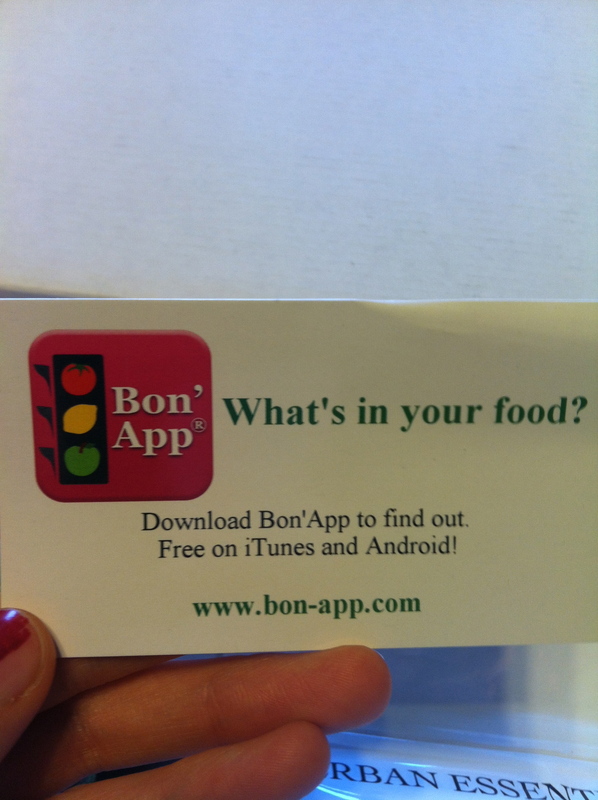 Bon’App is a app that calculates the calories and fat in food. 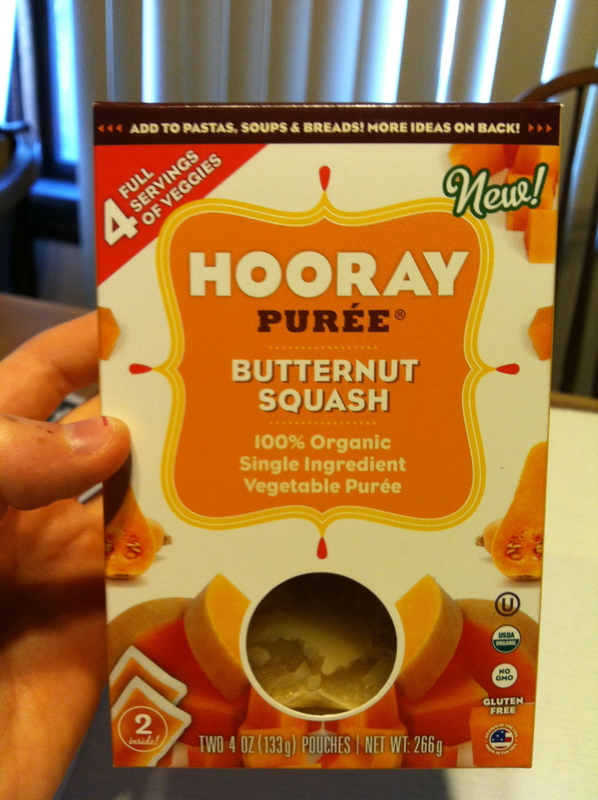 It was recommended by Bestowed because it can calculate the nutrition in recipes you make yourself. I downloaded the app but deleted it the next day because I thought that having a calorie counter on my phone is not in line with my own healthy living strategy. 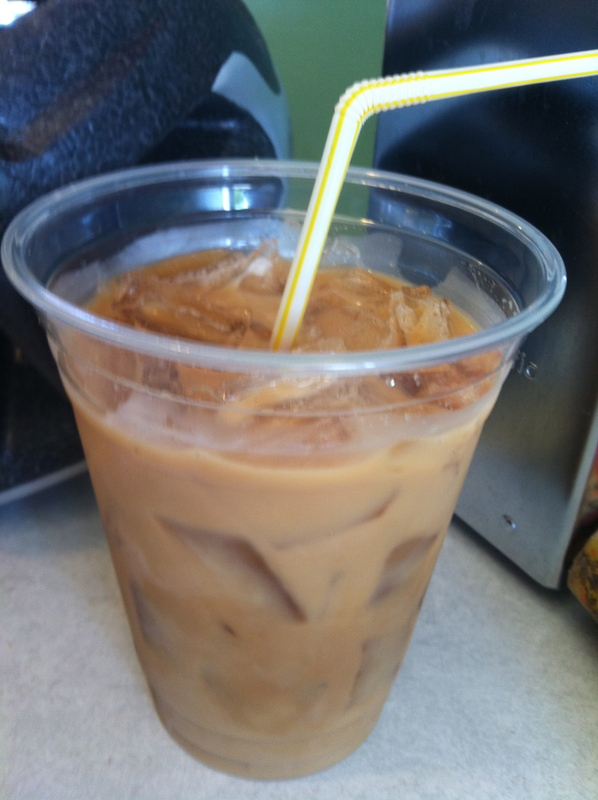 Bakery on Main Coconut Cashew True Bar – This is another of the seemingly infinite number of snack bars in the market. 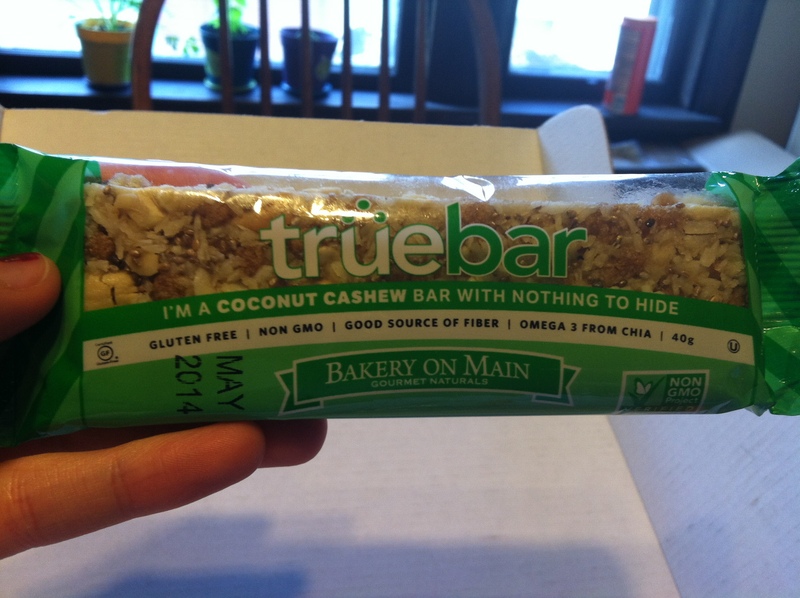 True Bars are low sodium, dairy free, and non-GMO certified. 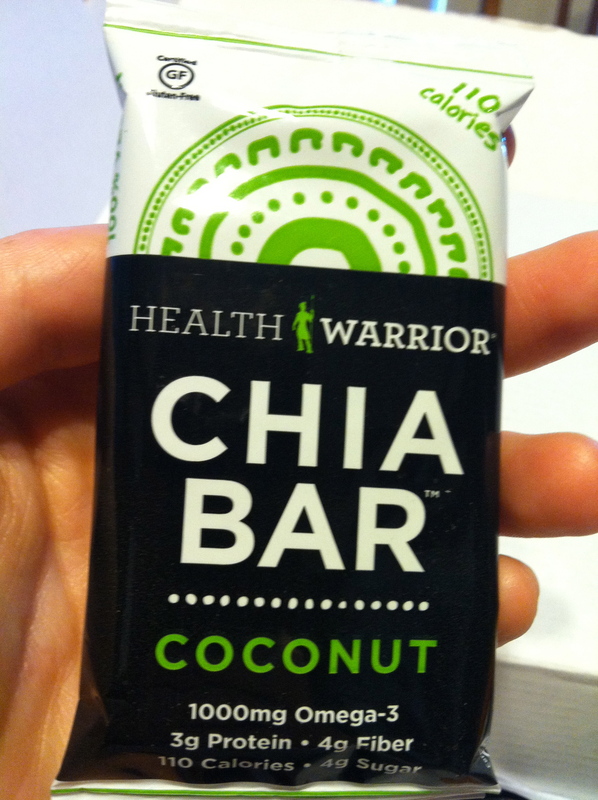 It was pretty sweet (almost dessert-like), and I really liked it! 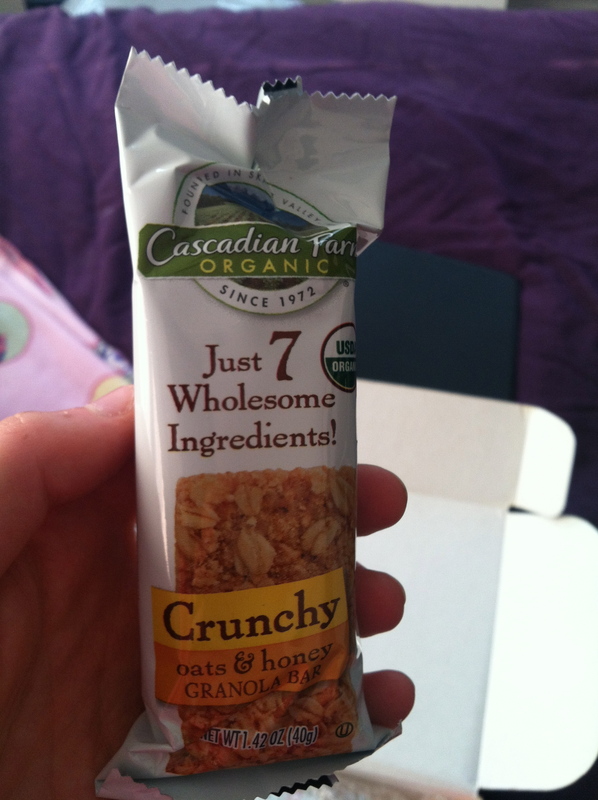 I’m hooked on Larabars and Kind bars though, and I don’t anticipate adding this brand into my regular rotation. 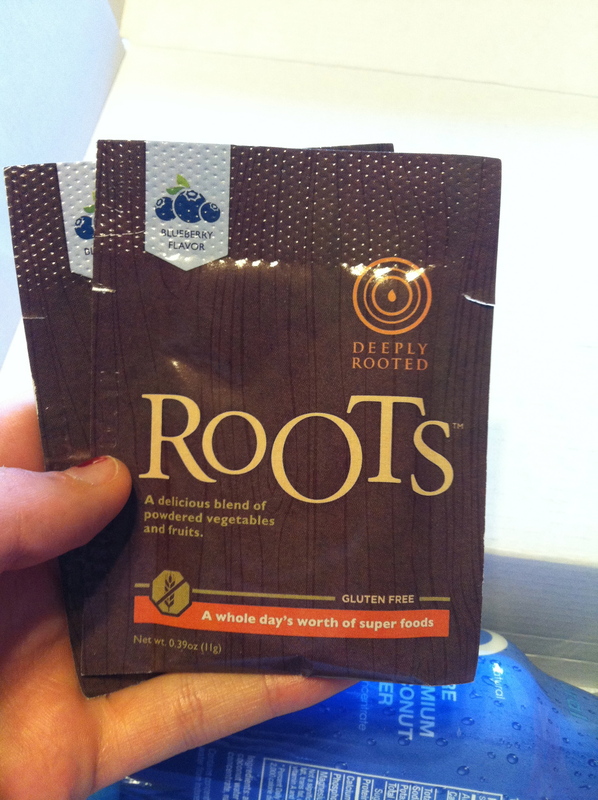 ROOTS Superfood Powder Packet – This powder packet boasts a days’ worth of vitamins and nutrients. 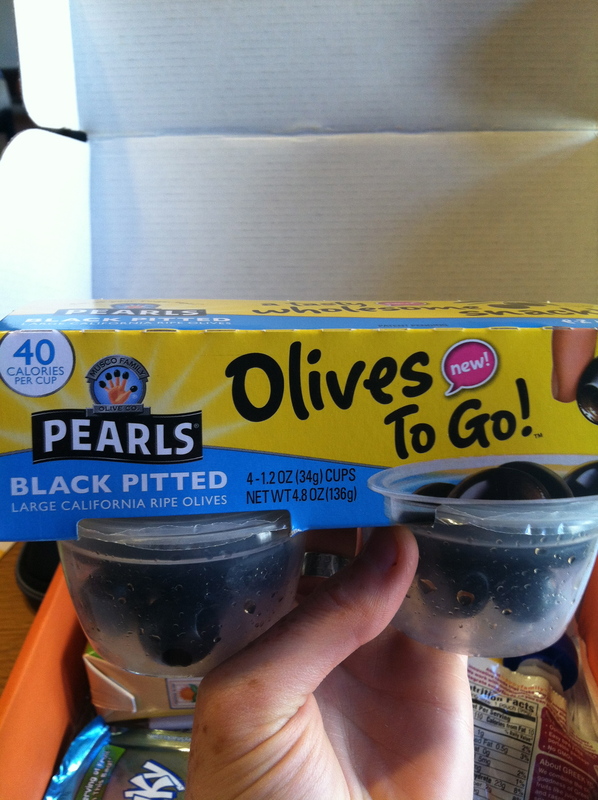 The package came with two blueberry flavor packets – you only add and water! BAD. Neither of us could finish it. 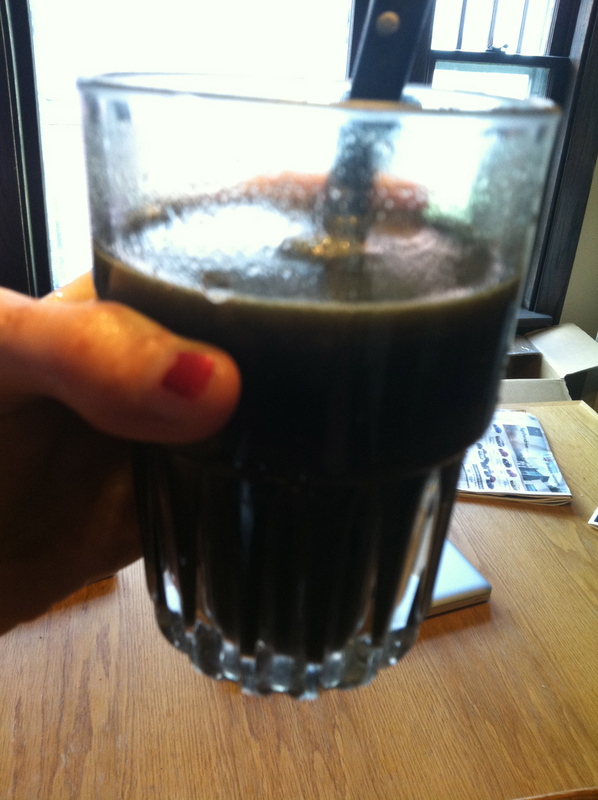 Maybe in a smoothie this would have been good, but I couldn’t stomach it just mixed with water. Dr. Praeger’s California Veggie Burgers – I’m always up to try a new veggie burger! 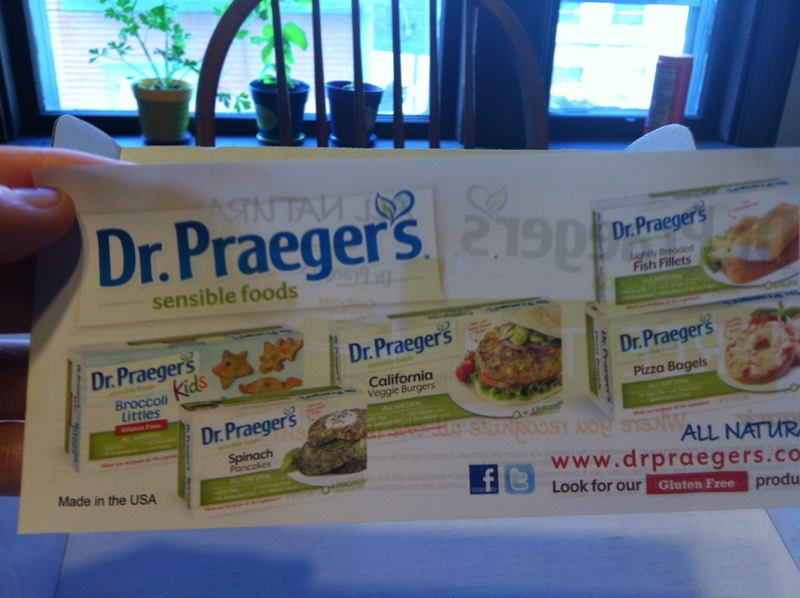 This coupon will get a free package of Dr. Praeger’s at any retailer. 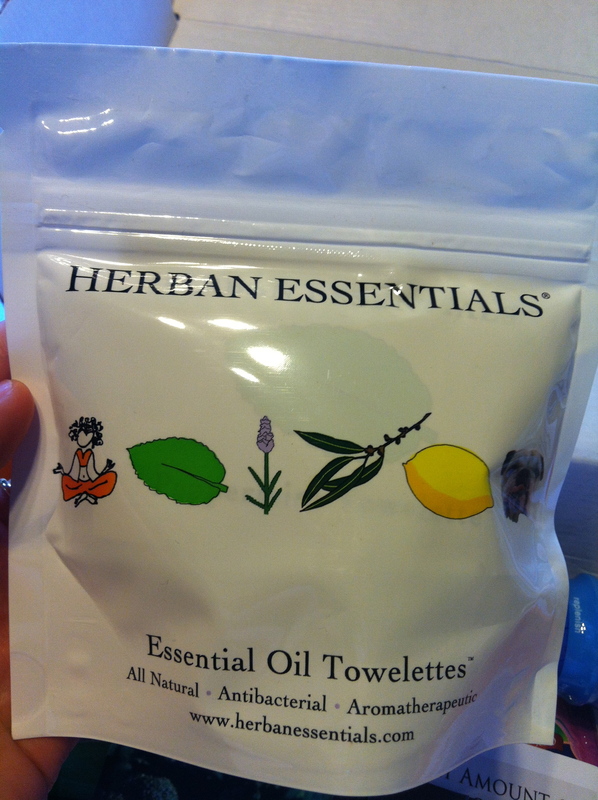 Herban Essentials Mini Pack – This Mini Pack of wipes are made with pure essential oils and are naturally antiseptic and antibacterial. I’m generally not too germ-conscious (but maybe I should be more), so I think remembering to use these will be the biggest trouble for me. 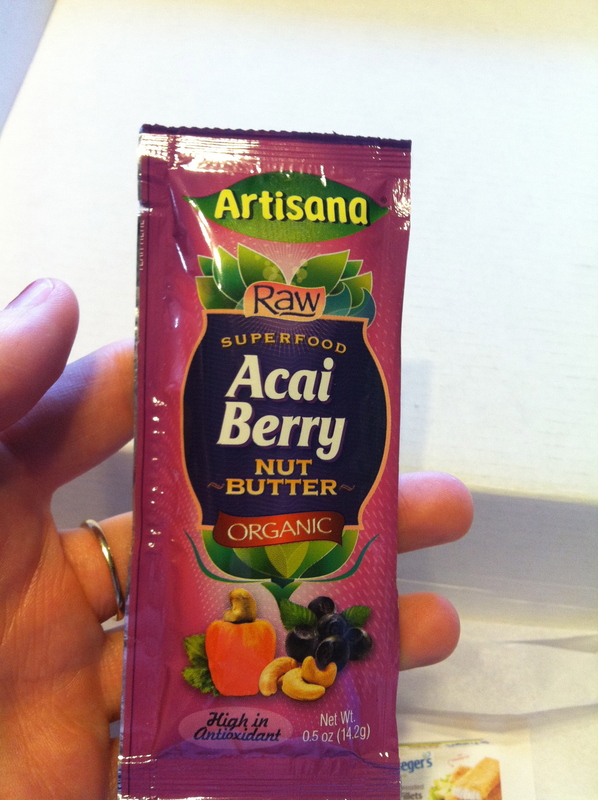 Artisana Organic Foods SuperFood Acai Berry Nut Butter – One of my favorite foods is peanut butter, and I’m always eager to try a new nut butter variation. 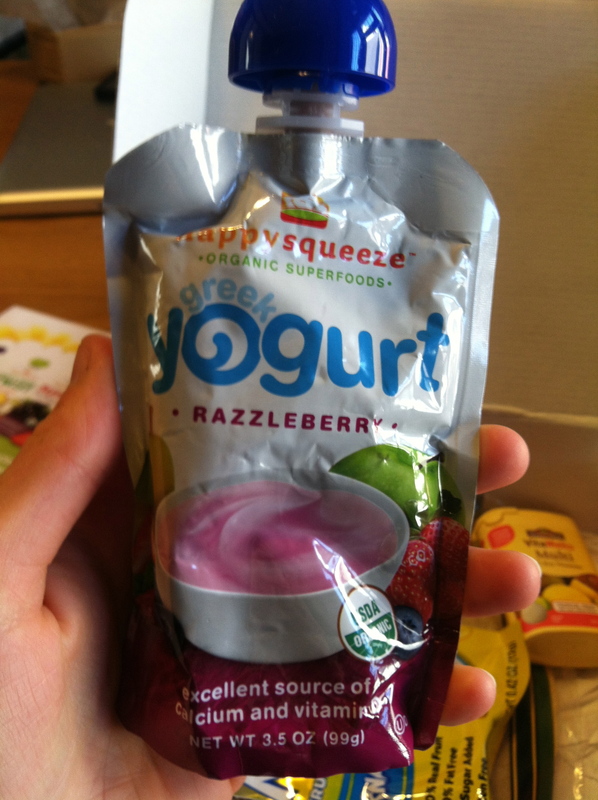 This spread is a combo of cashew butter and acai berry – creamy and delicious! 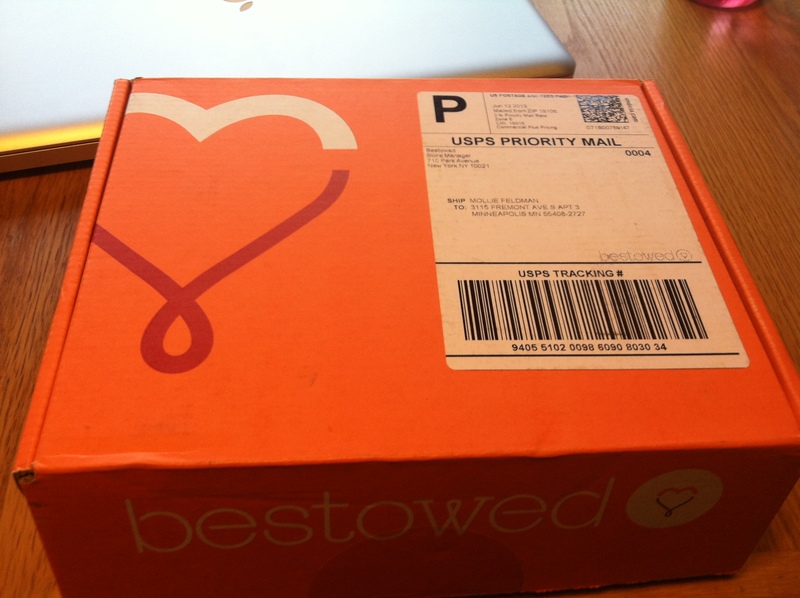 And there’s the June Bestowed package! 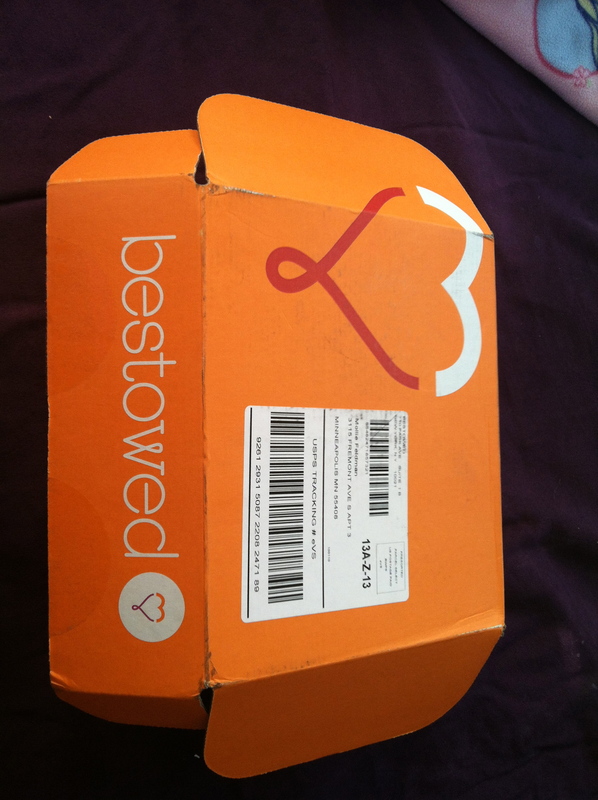 It’s Bestowed time of the month again! 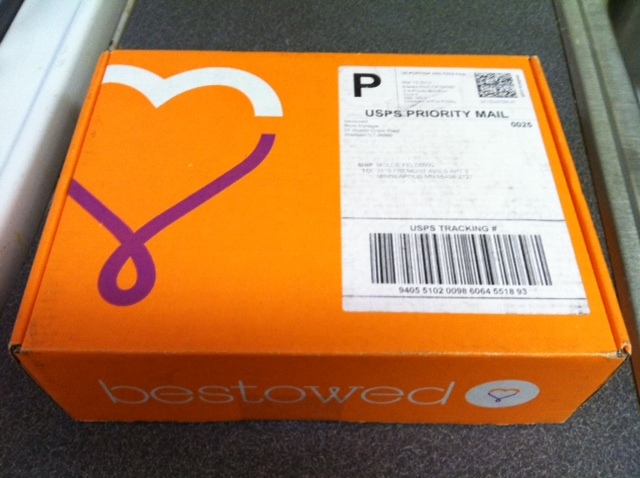 Bestowed is a monthly delivery program of healthy living products – mainly food with some beauty and fitness thrown in. Each month’s items are unique and provide a fun way to try new products without buying them myself (or having to buy a large size). 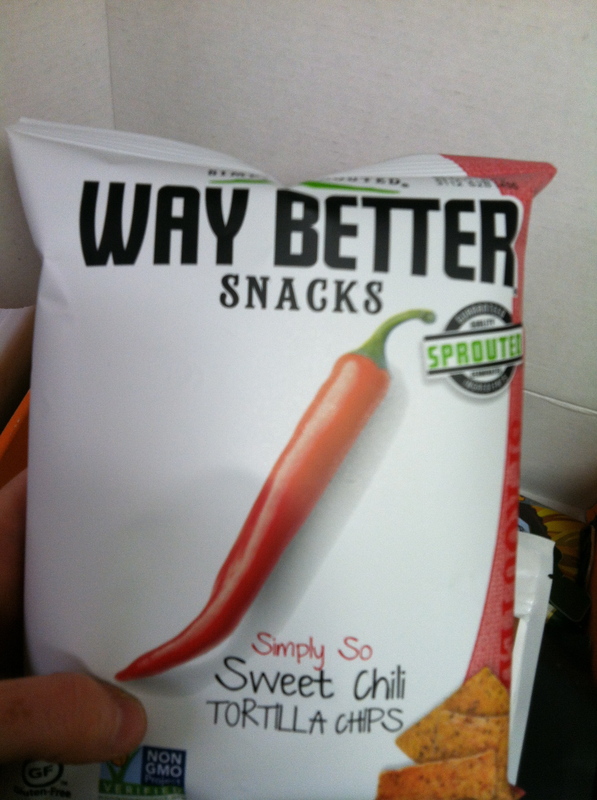 Simply Sprouted Sweet Chili Tortilla Chips – These chips are gluten free and will be good for a low sodium/low saturated fat snack when I want some crisp! 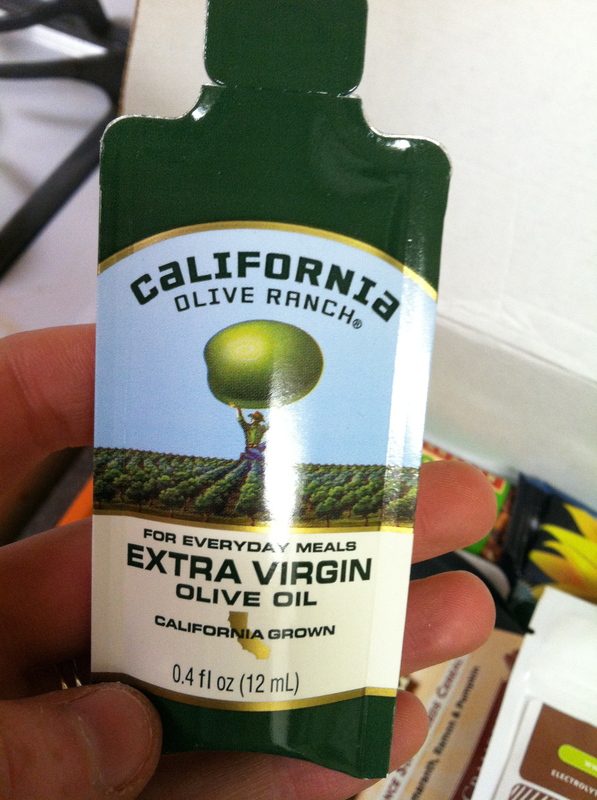 California Olive Ranch Everyday EVOO – This item seemed especially appropriate since I just listened to a Balanced Bites podcast about olive oil. 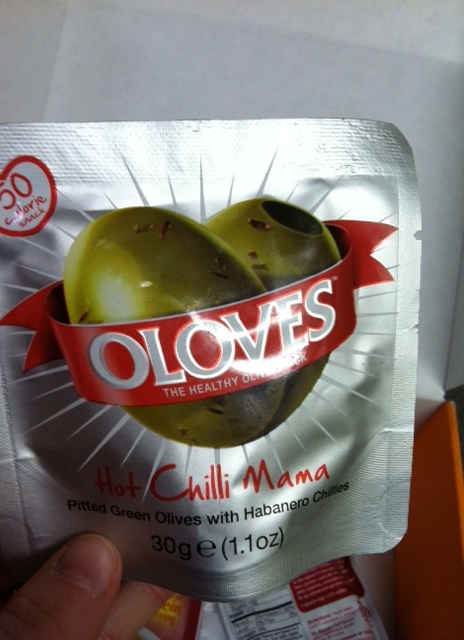 I learned that a lot of olive oils have the nutritional content severely diminished because the olives are pressed a long time after they are removed from the tree. Additionally, olive oil needs to be stored in a dark cool place to maintain its nutritional superkick, and the large clear bottles sitting on the top shelf near the light at the supermarket achieve the opposite effect. The #1 lesson: don’t buy olive oil in clear bottles! This olive oil from California Olive Ranch goes from branch to bottle in just a few hours and is stored in protective green bottles. 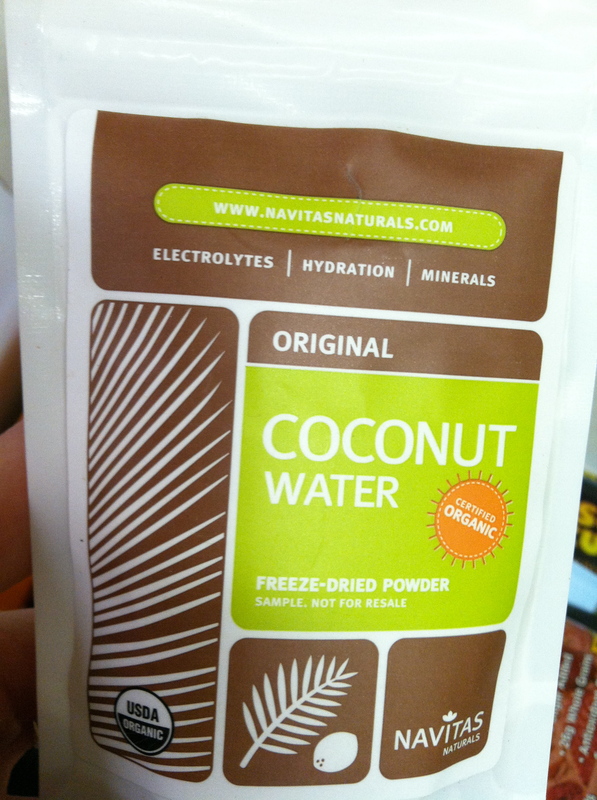 Navitas Coconut Water Powder – Coconut water is all the craze these days – or so I hear. I actually haven’t tried straight coconut water, but I do drink coconut milk on a regular basis. 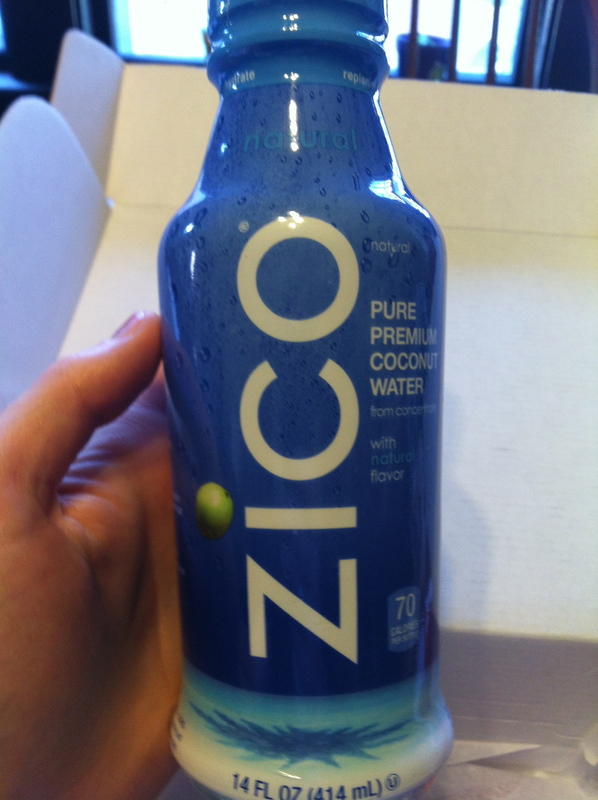 I haven’t looked into it too much, but I think the idea is coconut water provides several natural minerals and vitamins. My thought is that is also provides calories though, so it’s not necessarily the greatest replacement for plain water all of the time. 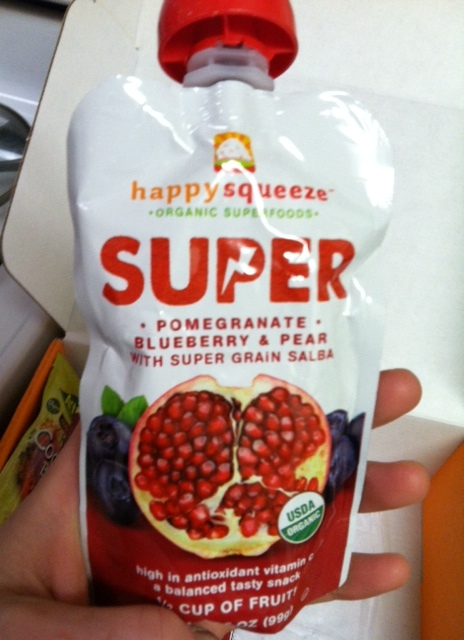 This is a coconut water powder that you can mix into 8oz of water for an on-the-go hydration fix. 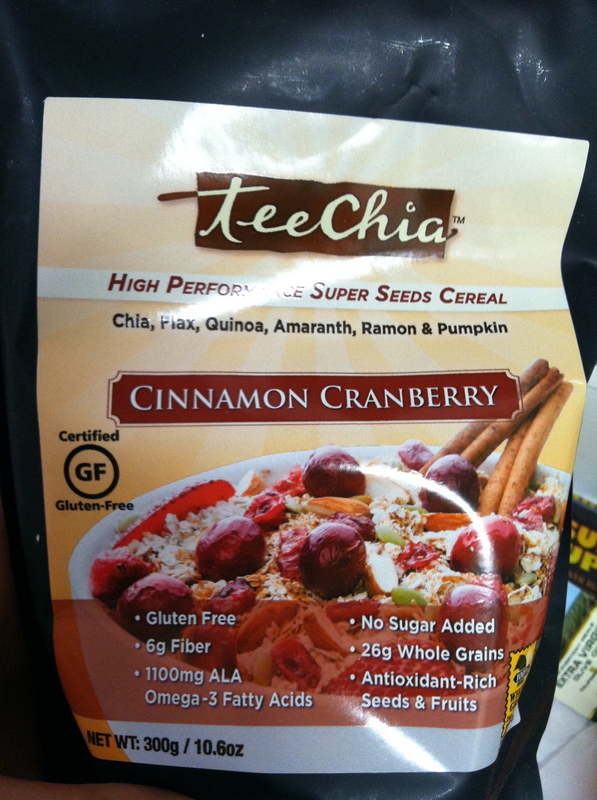 TeeChia Seeds Cereal – This is probably the item I am most excited about in this month’s package. 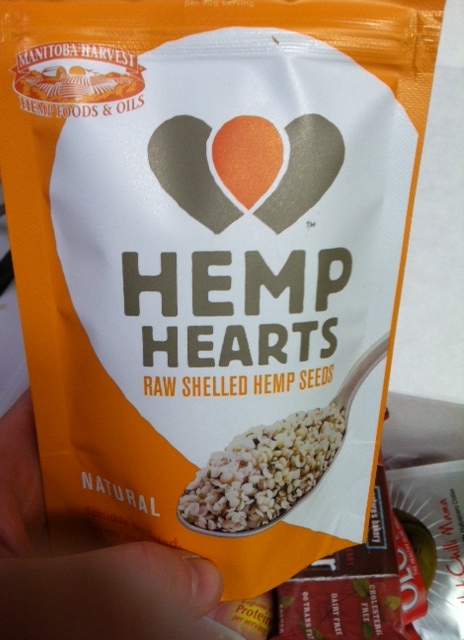 It’s a cereal made from super seeds! It’s made particularly to be quick and easy, and even though it has the consistency of a hot cereal (like oat bran), you only need to add water (hot or cold) and let it sit for about a minute. No cooking or anything required! 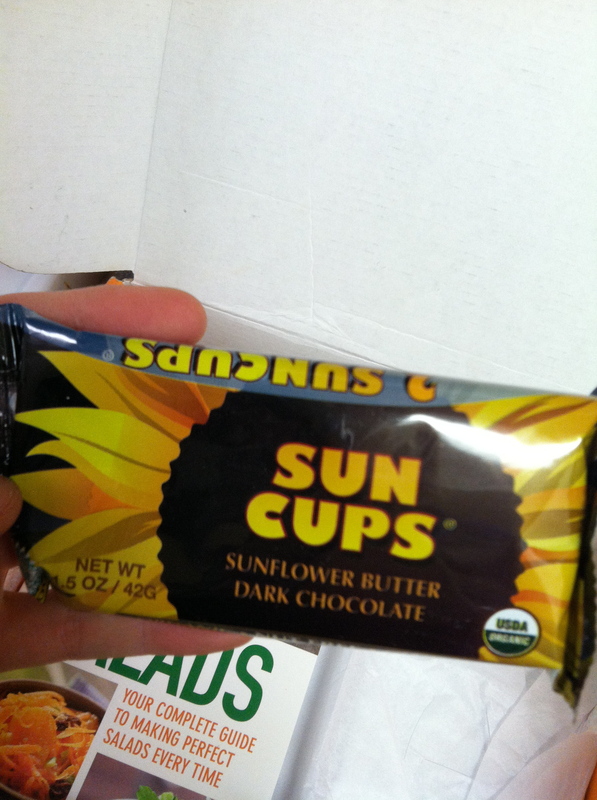 Dark Chocolate Sun Cups – Dark chocolate + sunflower seed butter = enough said. 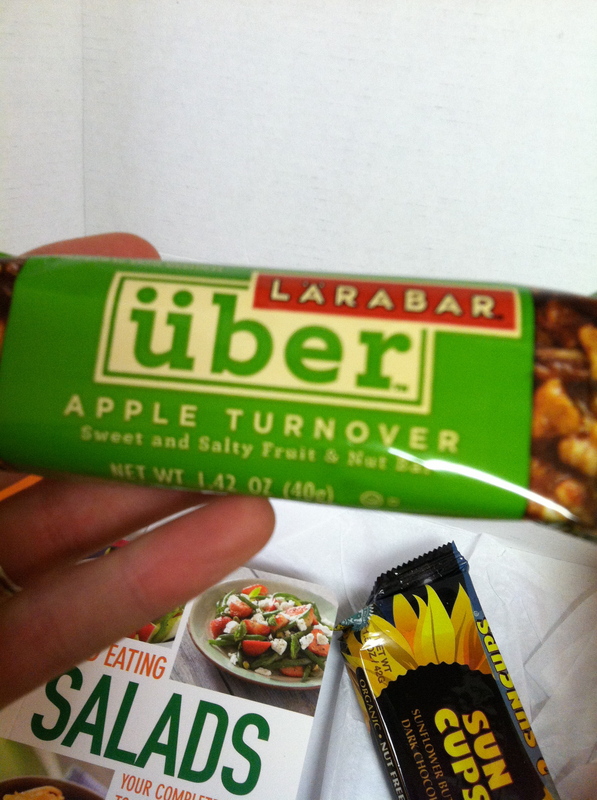 Larabar Uber – I’ve actually had several of these newish larabar varieties already. 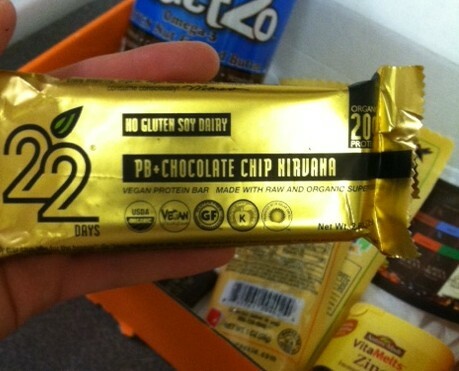 The uber Larabars are made with more nuts and protein than the original larabar varieties. 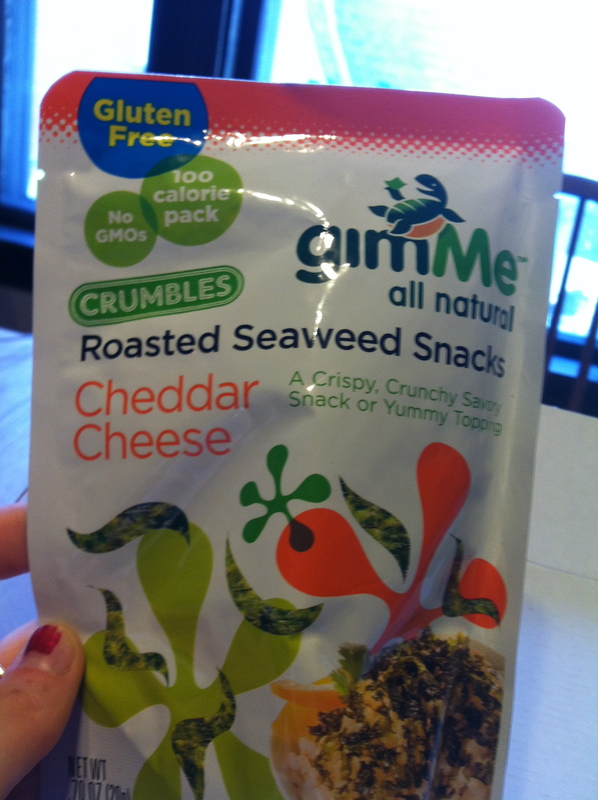 I like them a lot as a quick and tasty snack, so I was happy to get another on in the package! 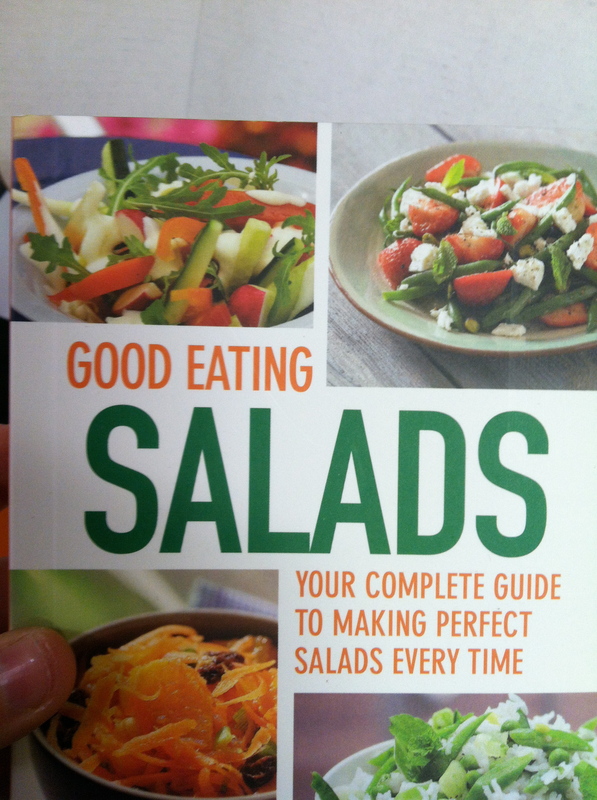 Good Eating Salads by Parragon Books – The final item was something I’ve never gotten in a Bestowed package before: a cookbook! The cookbook offers over 140 different salad ideas, full color photos, and step-by-step instructions for everything from grilled meat to dressings. I flipped through and some of the salads looked really yummy, but I don’t foresee myself using this book too much since I have a tried and true salad recipe that never lets me down: throw a mix of whatever veggies I have on top of some lettuce. Done. That sums up the May Bestowed package. 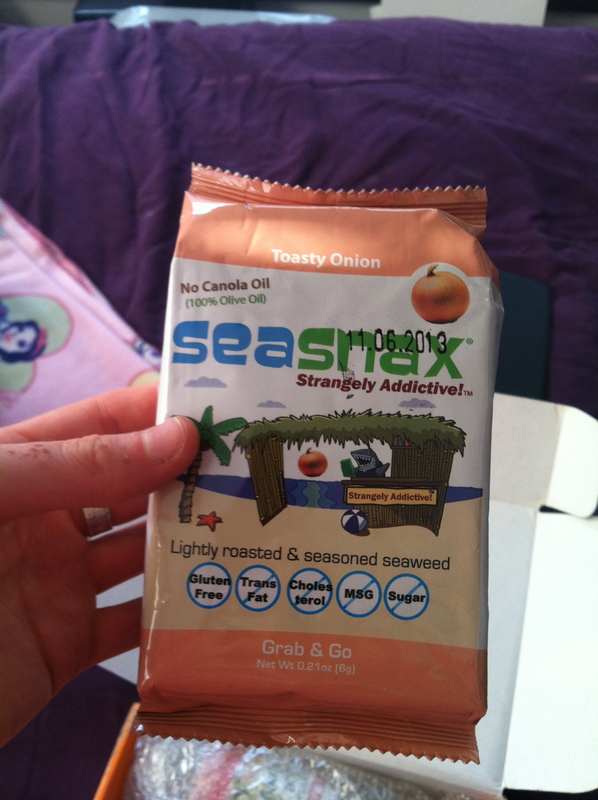 I’ll keep you updated on my thoughts as I sample all of these new products! Woohoo!! It’s that time of the month again. 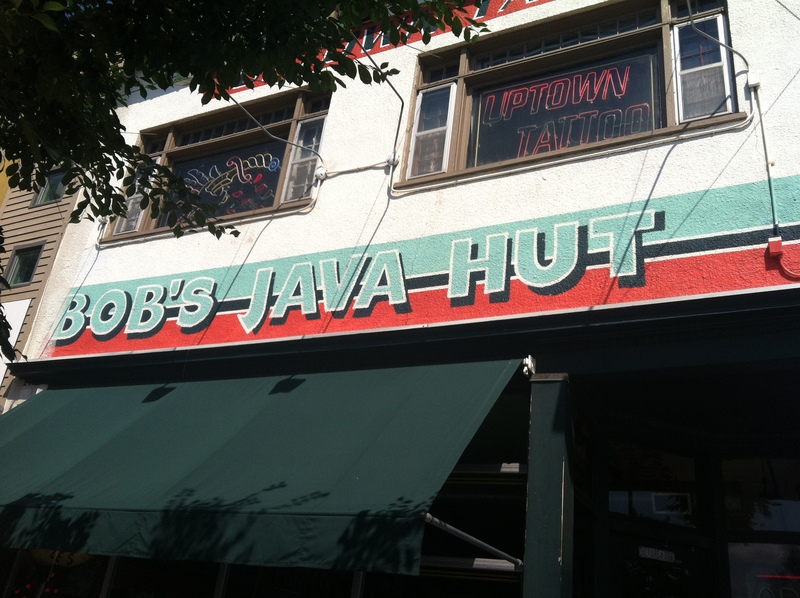 Bestowed time, that is. 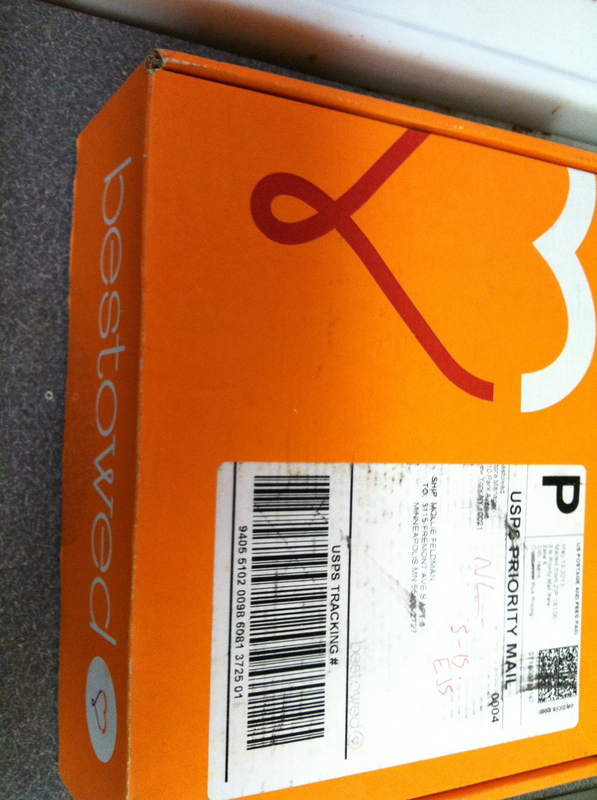 Bestowed is a monthly delivery program of healthy living products – mainly food with some beauty and fitness thrown in. 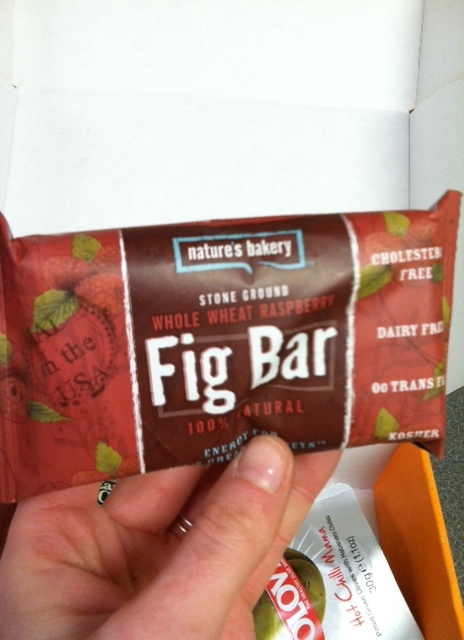 This package makes my day whenever it arrives, and today did not disappoint. Yay goodies!!! 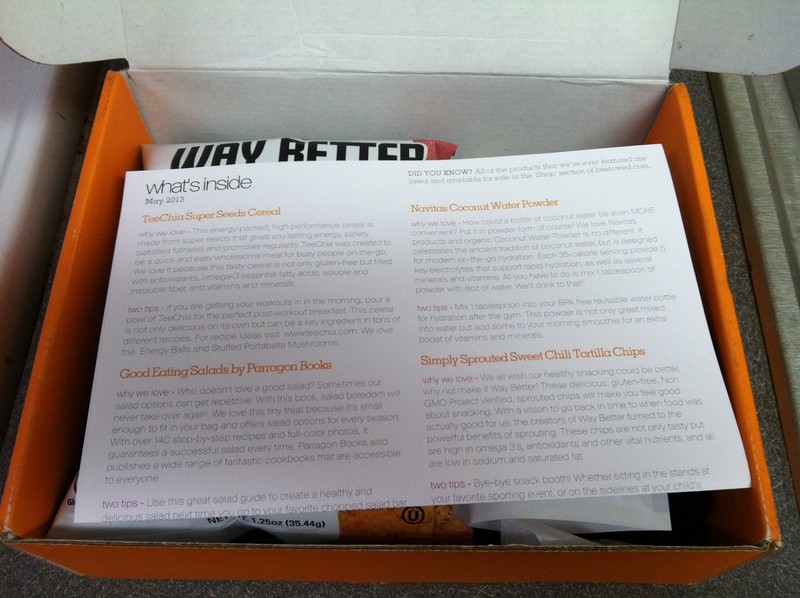 Inside April’s package were…. 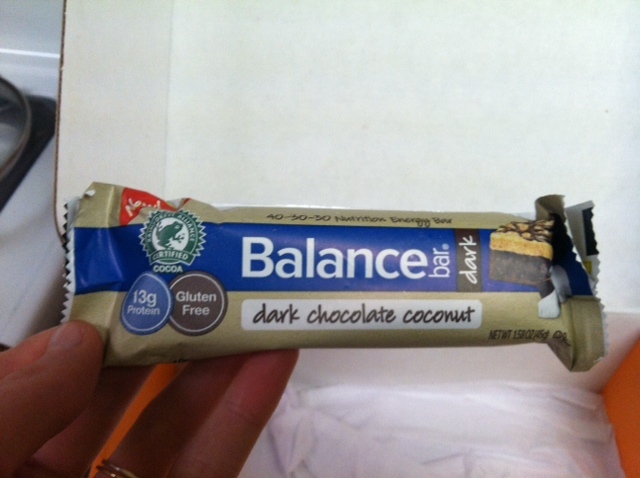 Balance Bar, Dark Chocolate Coconut – I’ve never had a Balance Bar before, but they are a very high protein and relatively high fiber bar for a pretty reasonable amount of calories (this one had 180). They are also gluten free. And did I mention they are chocolate flavored?! 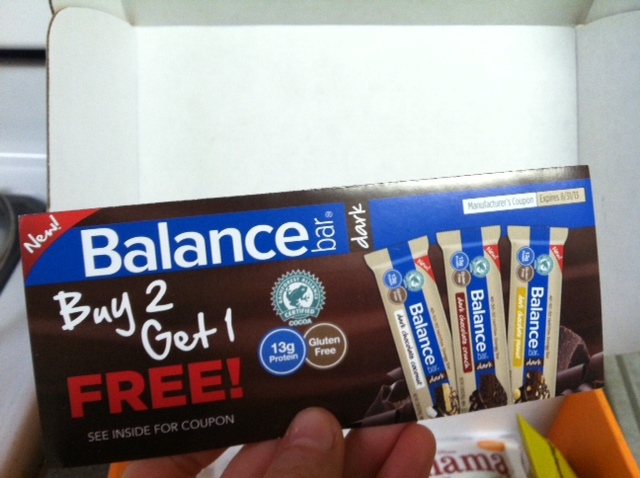 The package had one actual Balance Bar and a coupon for a free one with the purchase of two more. 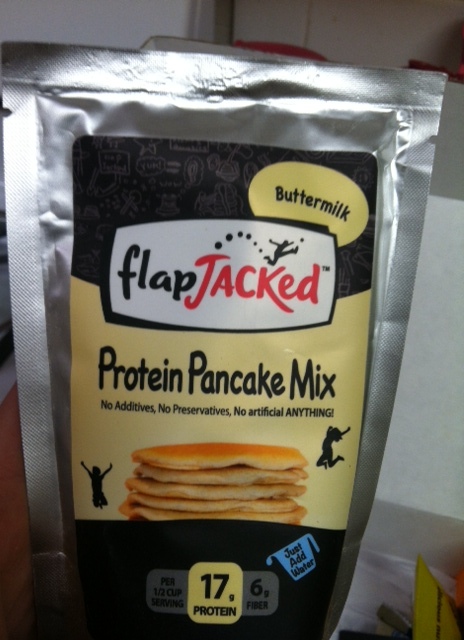 Flapjacked Protein Pancake Mix – This item came at a very appropriate time given my recent interest in protein pancakes (see here and here). 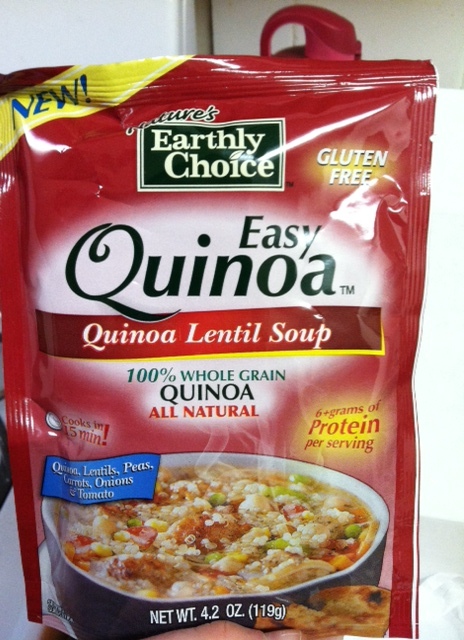 This mix is made with all natural ingredients and hearty grains like quinoa and oats. 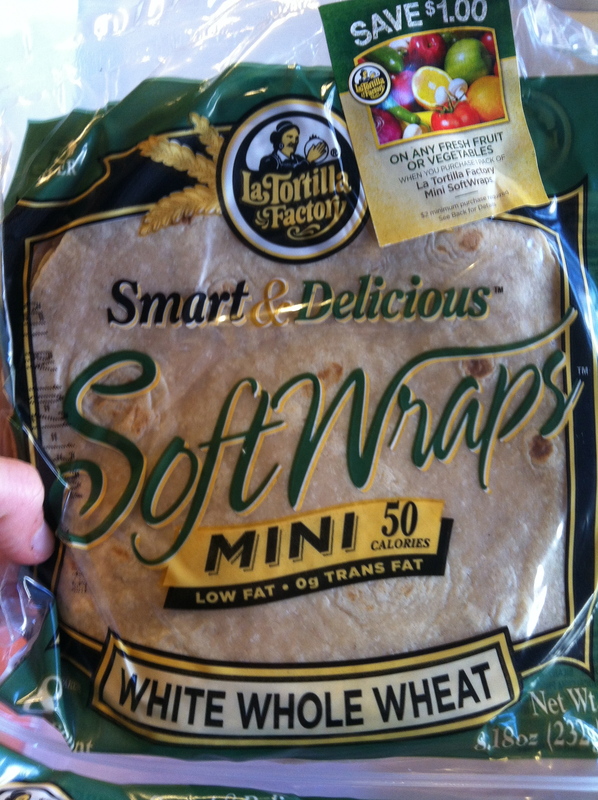 They’re also very high in protein with 17g per serving! 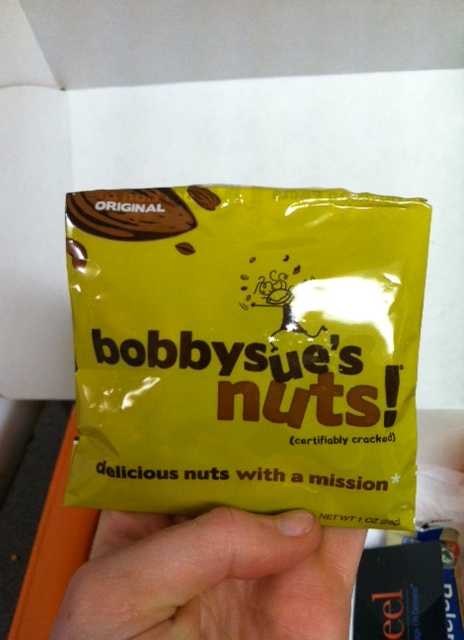 BobbySues Nuts – The BobbySues Nuts company was founding by two entrepreneurs (female, btw) with the goal to make tasty, nutritious nuts but ALSO to help animals. A portion of every sale dollar goes towards building animal shelters and helping animals in need. This package of nuts is a mix of almonds, pecans, and cashews coated with meringue and spices. 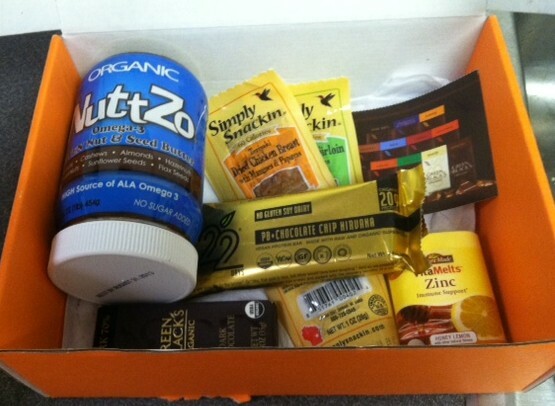 Zeel, $25 Credit – Okay, so this item was a little weird. 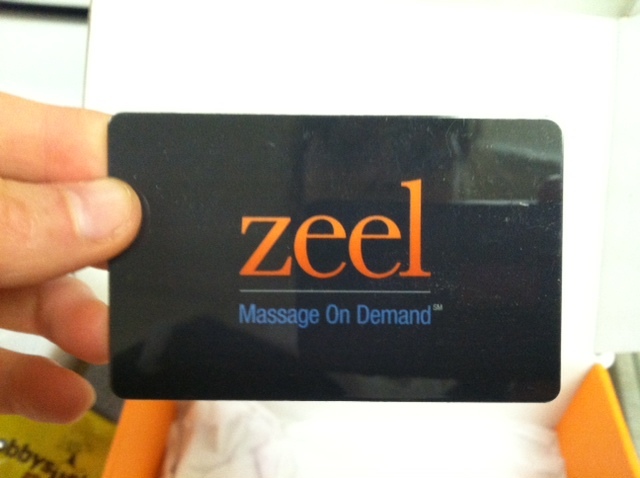 It’s a $25 credit for Zeel, a massage-on-demand company. Basically, you call them, and then one of their licensed masseuses come to your home to give you a massage. As if it wouldn’t be weird for my roommates to come home and find me being massaged in the living room?! 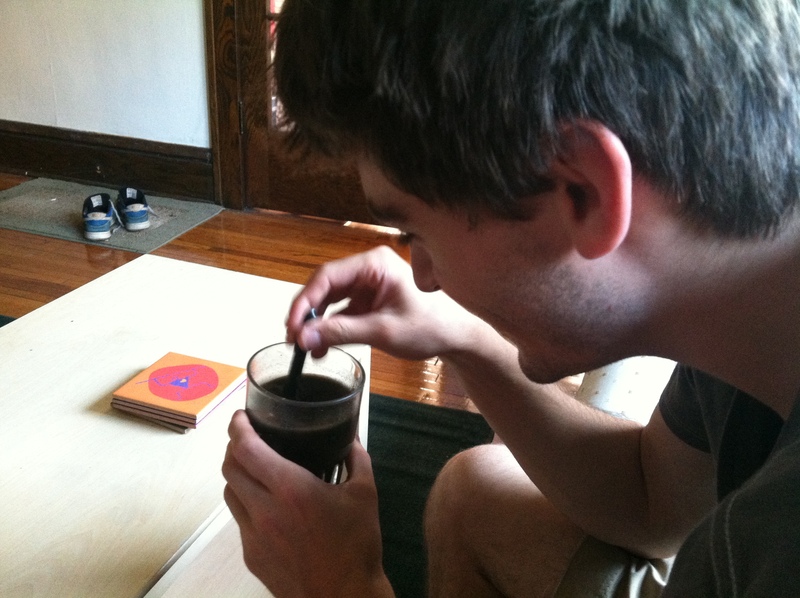 Second, it is only available to people living in NYC and the surrounding boroughs. I live in neither of those places, so this item is essentially worthless to me. 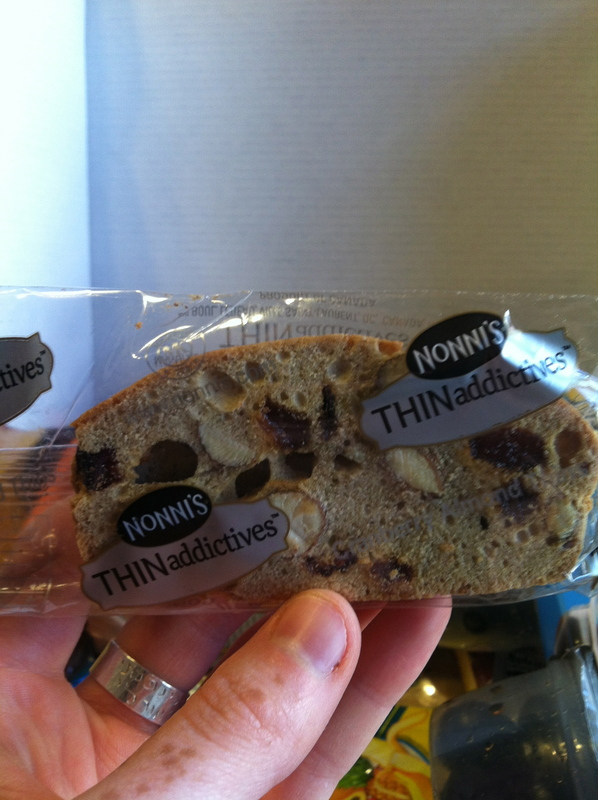 Very disappointing, very disappointing indeed. 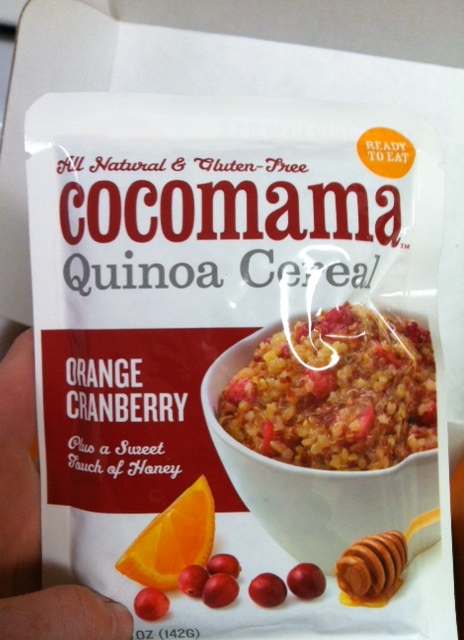 Cocomama Quinoa Cereal – This item is so good it redeemed the package from the Zeel disaster. 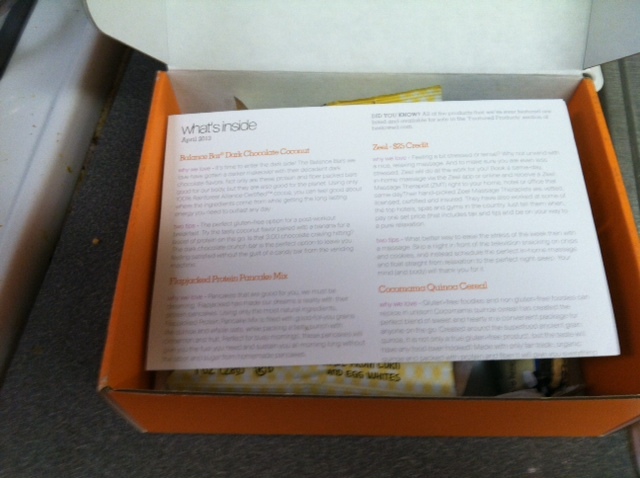 This is a pre-made package of quinoa cereal, breakfast style. 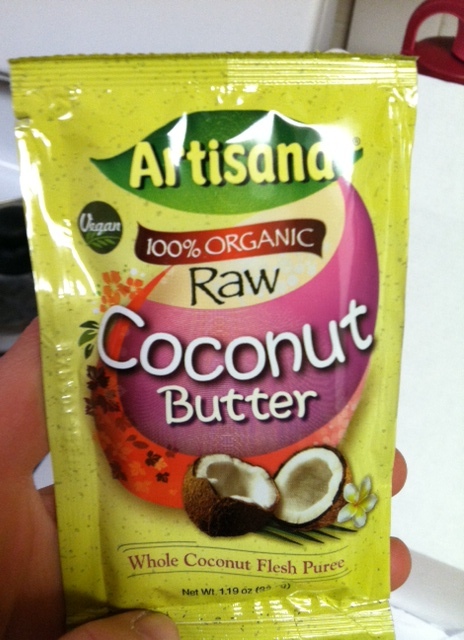 All you need to do is empty the package, heat it in the microwave, and add some nut butter (I added that last part). 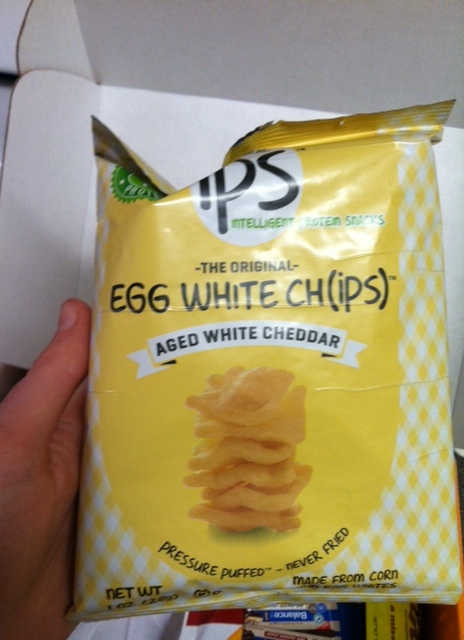 ips Egg White Chips – I have no idea what to expect from these things. 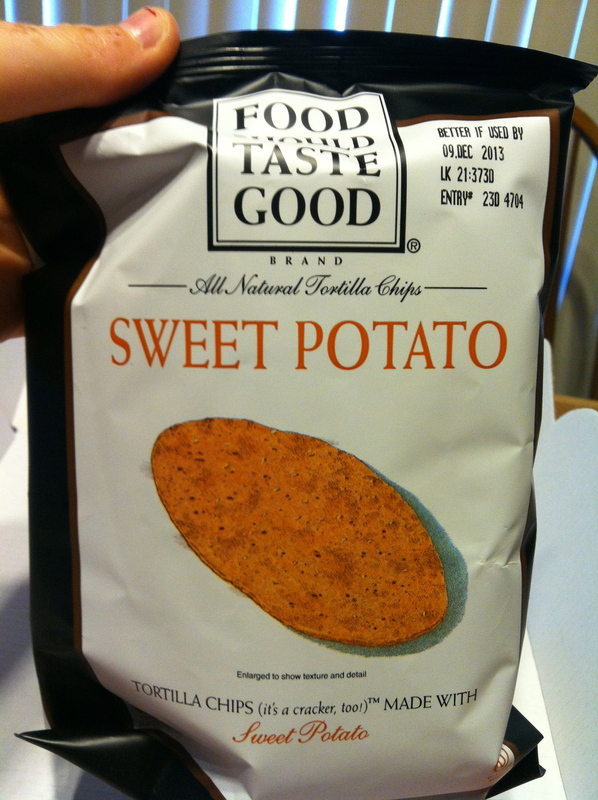 I can’t say that the sound of ‘egg white chips’ is too appealing to me, but after examing the bag I decided not to knock it til’ I’ve tried it. 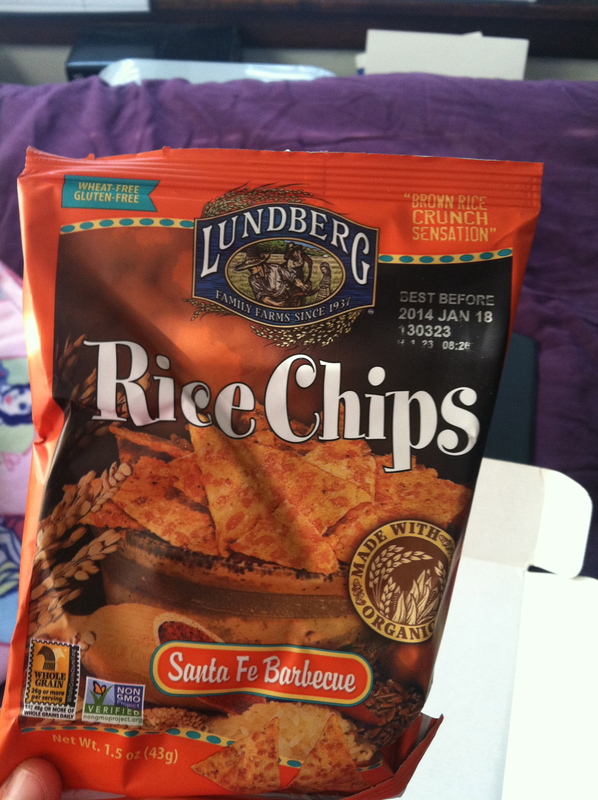 These chips boast that they are crunchy, high in protein, and contain half the fat of regular chips. 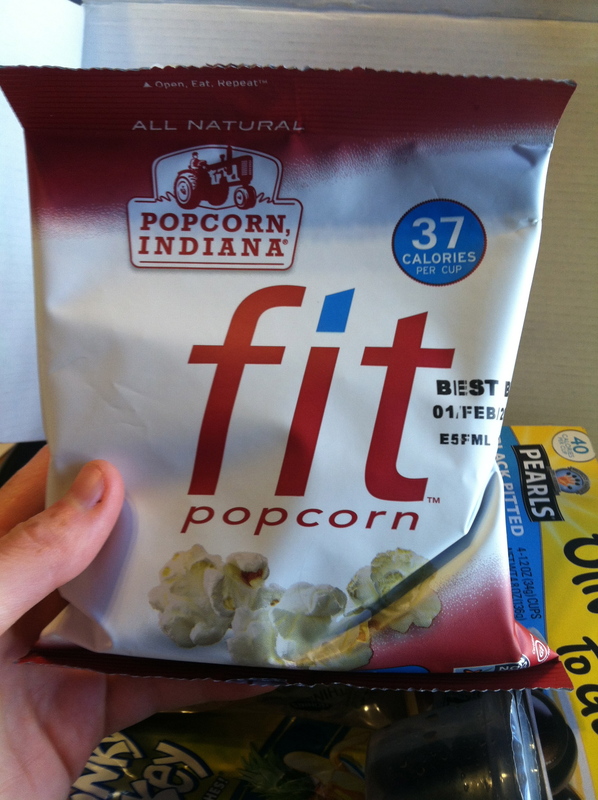 I’ll give you an update after I try them. And there you have it, the April Bestowed package! Yeah, not too exciting. 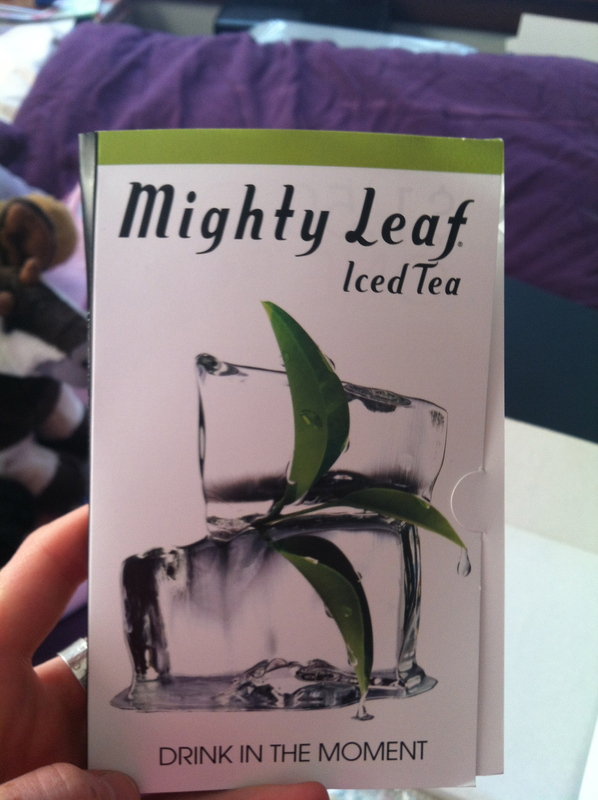 So imagine my delight when I got one two three exciting deliveries in the mail this week! 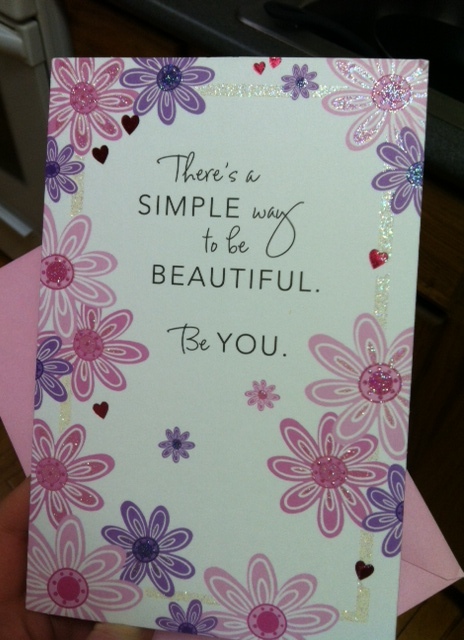 The first, was a beautiful Valentine’s Day card from my family. My mom wrote that she thought it would be perfect for me. It was. 🙂 Thanks, family! The second surprise arrival came from Penguin Publishing, which gave me a clue that it was probably from my dear and talented friend who works for them. 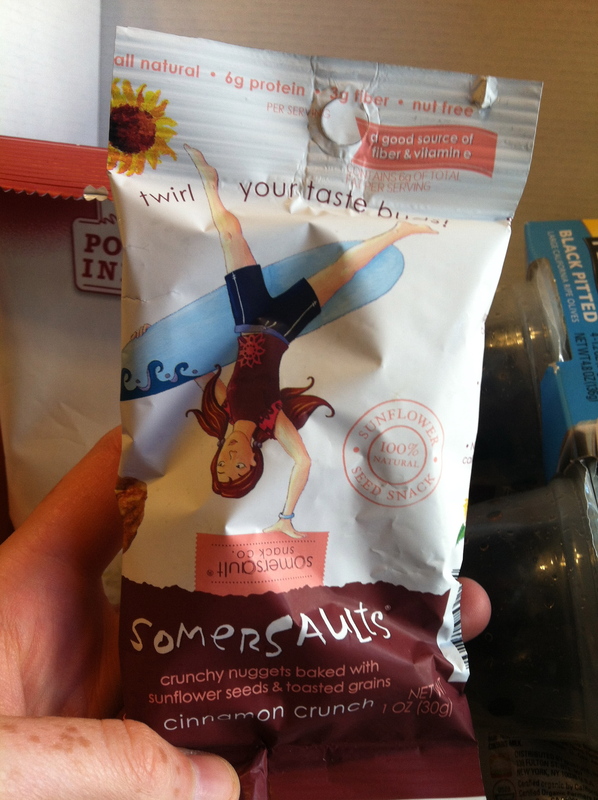 Little did I know that the package contained pure girl power with a super hero punch. 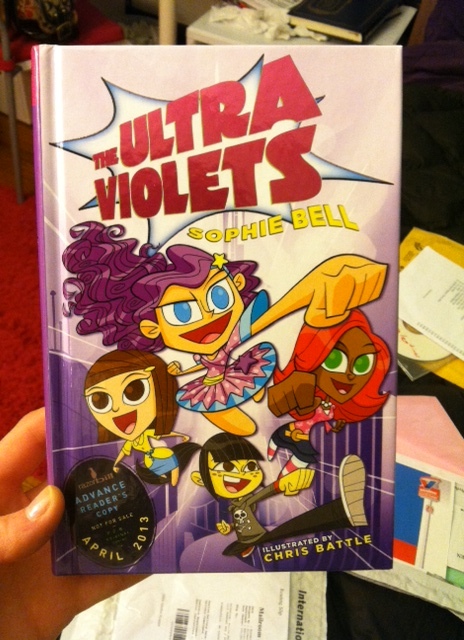 Yep, that’s an advance reader copy of The Ultra Violets by Sophie Bell (published by Razorbill, shout out!) With the book came a delightful letter from the Razorbill team, telling me that they knew I would like this book given my affinity for purple guns, glittery girls, smarties – the nerdy kind – and fun. 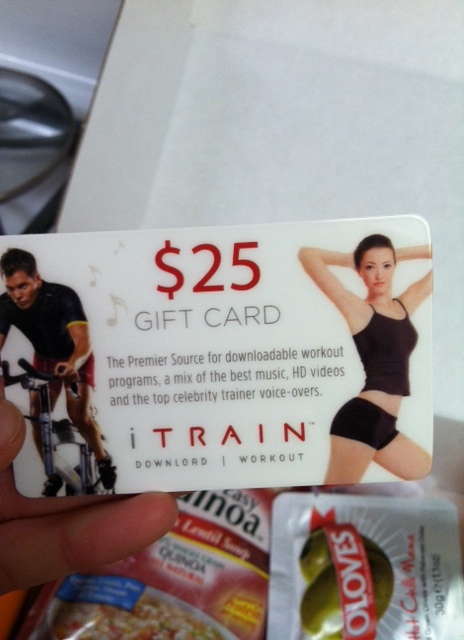 How do they know me so well?! The letter also pinky promised me that it’s a viomazing read. I am holding them to that. 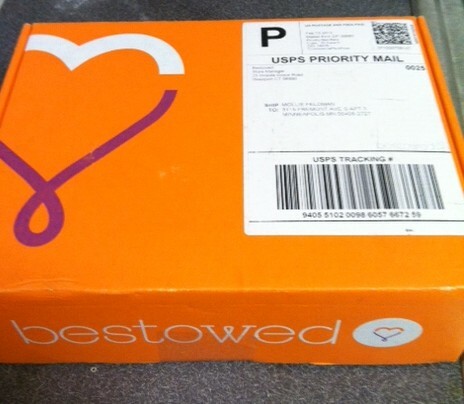 The third and final smile to arrive in the mail this week was the February Bestowed package. 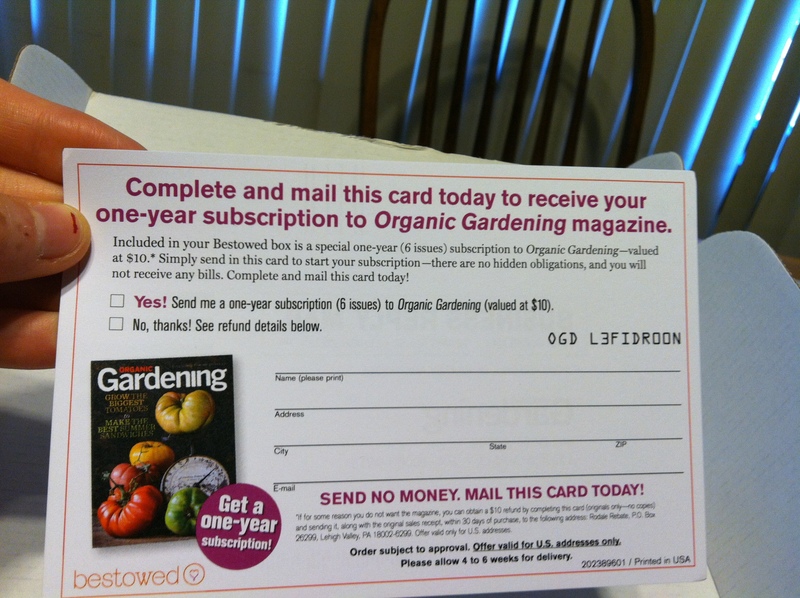 For anyone who missed by January Bestowed package post, Bestowed is a monthly delivery program created by author and nutritionist Heather Bauer. 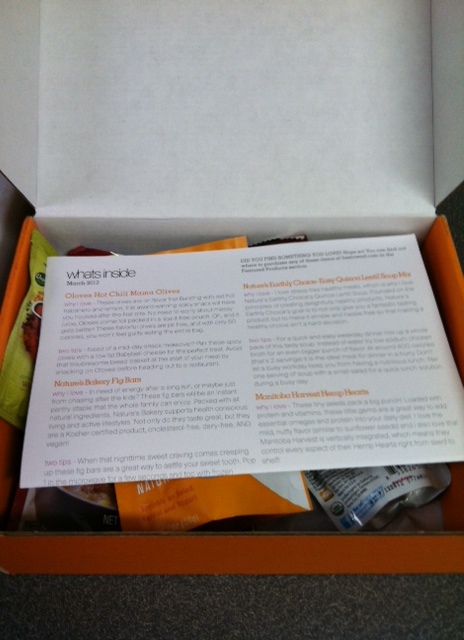 The monthly packages include food and healthy living products selected for their nutritional strengths and general deliciousness. The February package was full of exciting goodies. 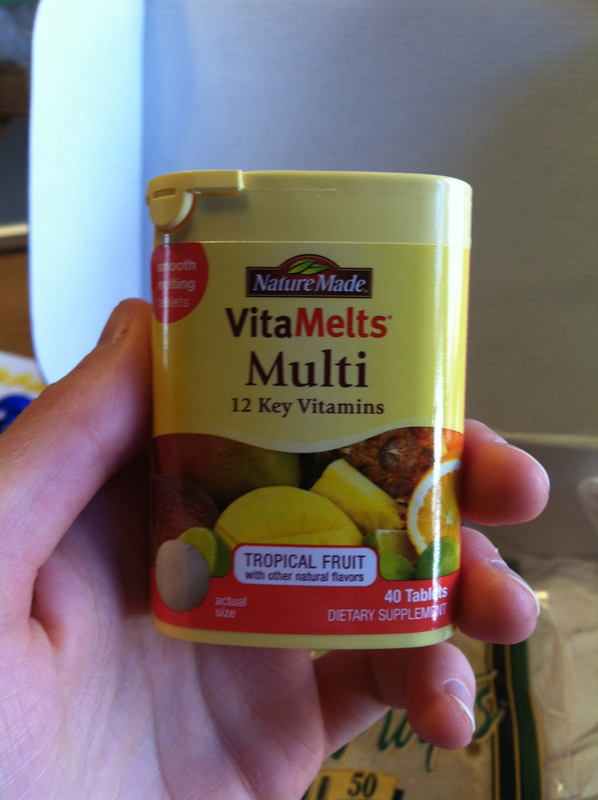 Nature Made VitaMelts Zinc – Described as a smooth-dissolving option for those who have difficulty swallowing vitamins (ahem, ME! 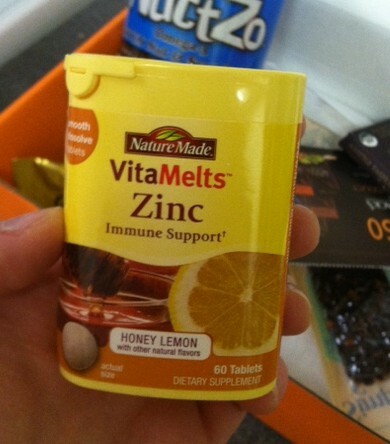 ), these tablets provide 100% of your daily value of zinc. 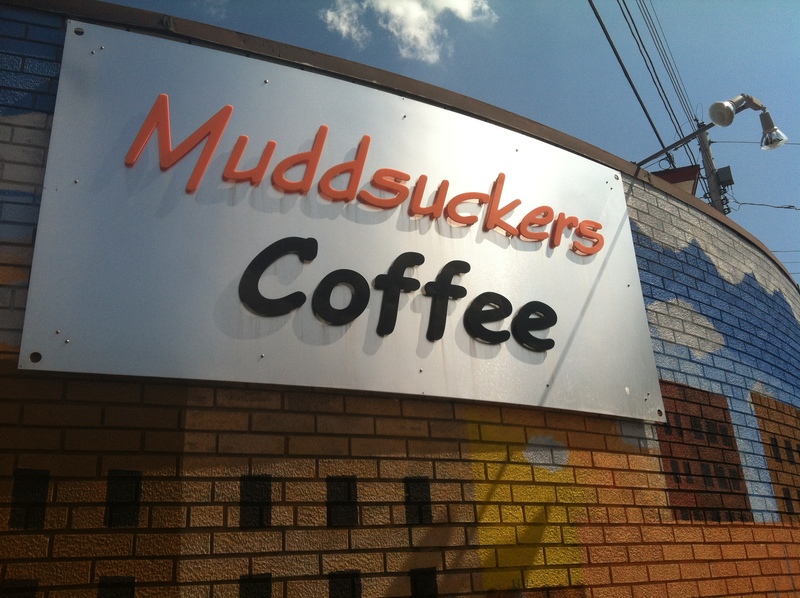 I had a few already, and they taste really good! 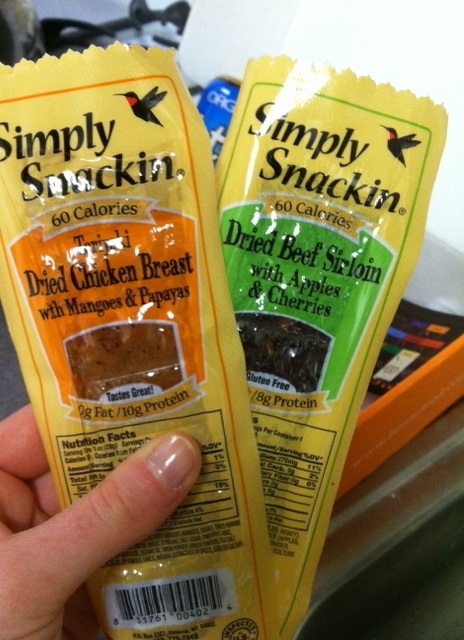 Simply Snackin Jerky – I will admit, I’m not really a jerky girl. Something about the texture, smell, and general idea of it (meat in a bag that’s not refrigerated?!) doesn’t really appeal to me. Needless to say, the jerky sticks were the item in the package that made me the least excited. 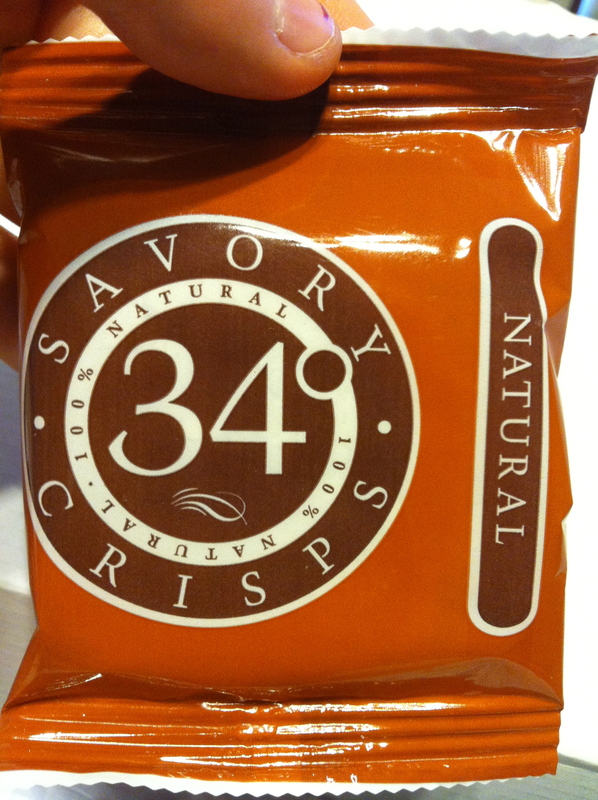 Still, this particular jerky is all natural with no MSG, fillers, or trans fats. 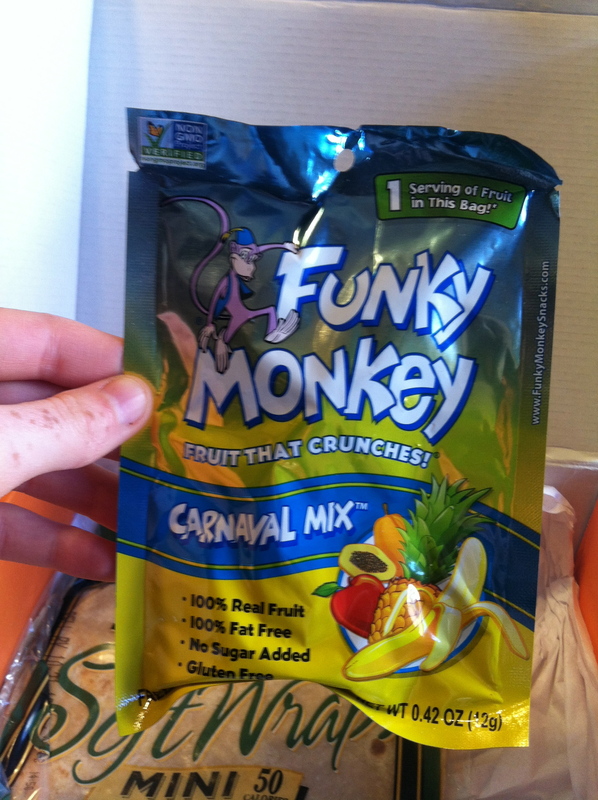 The flavors – teriyaki chicken with mango and papaya and beef sirloin with apples and cherries – were interesting. 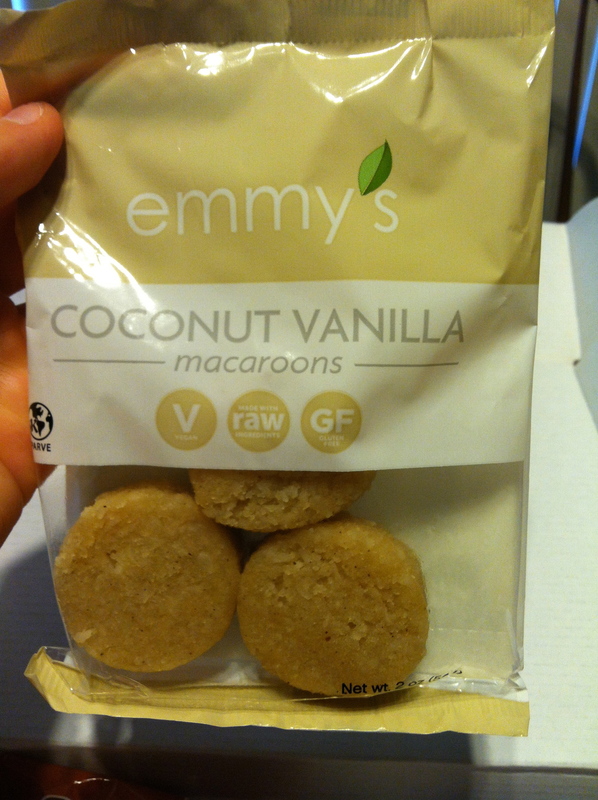 I don’t know if I’ll work myself up to actually trying them, but for now I am content to let them sit in my cupboard. 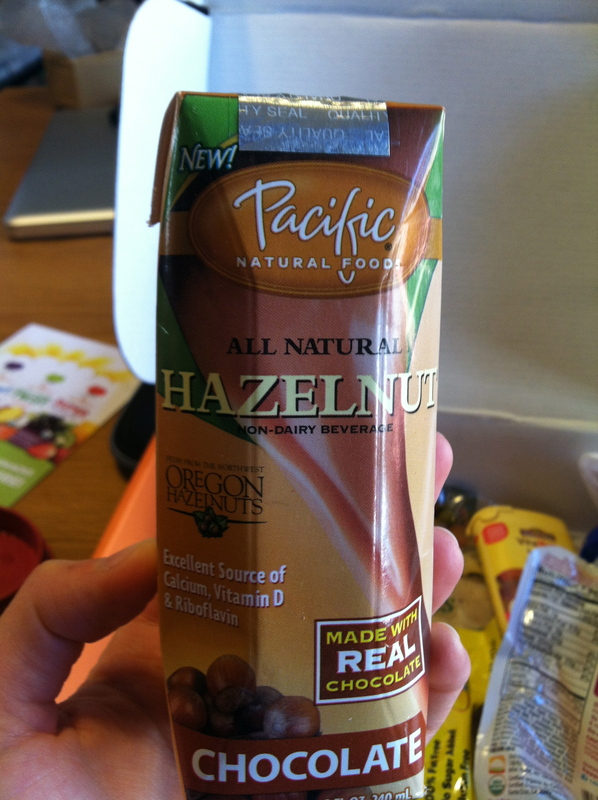 Nuttzo – Given how I feel about peanut butter, this was definitely the package’s highlight! 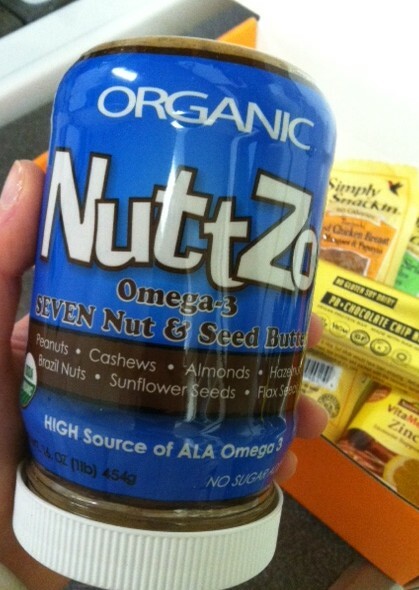 Nuttzo is made with seven different 100% organic nuts and seeds and has no added sugars or oils. 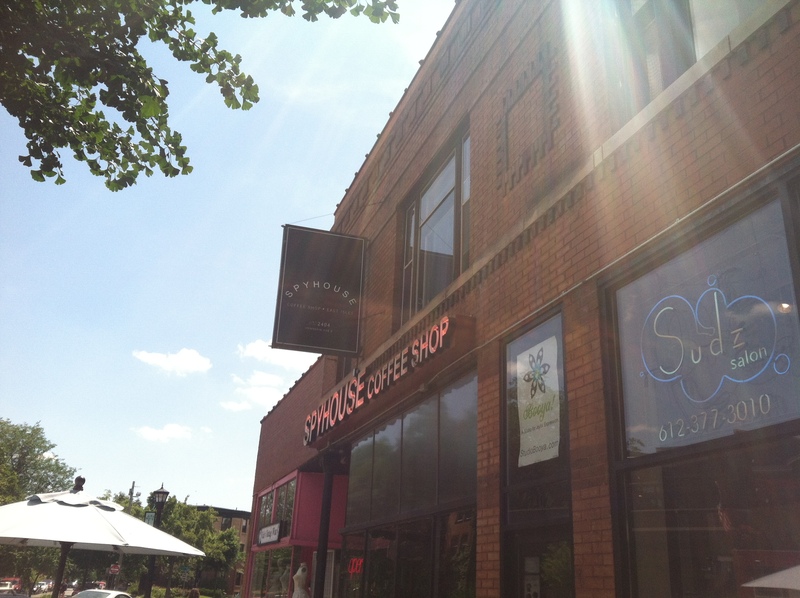 Also, a portion of Nuttzo’s profits go to Project Left Behind, a nonprofit that provides for orphans around the world. Green and Black’s Dark Chocolate (70%) – The final item in February’s Bestowed package was another can’t-go-wrong food: chocolate. Green and Black’s is an organic chocolate company that vows to bring consumers environmentally-conscious and responsibly manufactured products. 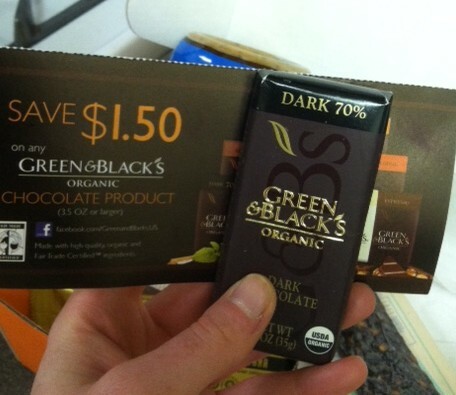 In addition to a small bar of 70% dark chocolate, I also received a coupon for $1.50 off a bar at the store. 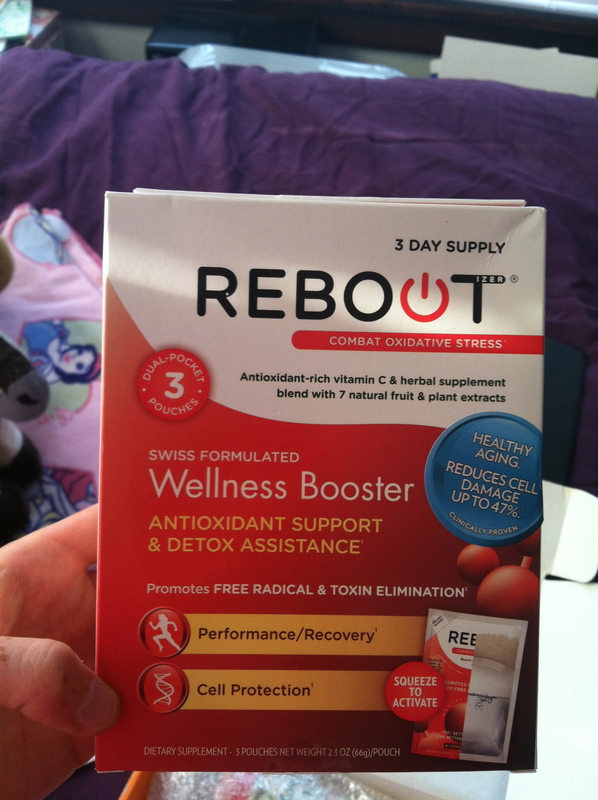 There you have it – February’s Bestowed package!